Physics is a comprehensive science that studies the most general, simple and basic laws of nature. Physics is a comprehensive science that studies the most general, simple and basic laws of nature. These laws determine the structure and evolution of the material world and the properties and structure of matter and the laws of movement. Biology is a scientific system that studies living beings and their interaction with their surrounding environment. It explores all aspects of life; in particular, the structure, functions, growth, origin, evolution and distribution of living organisms. 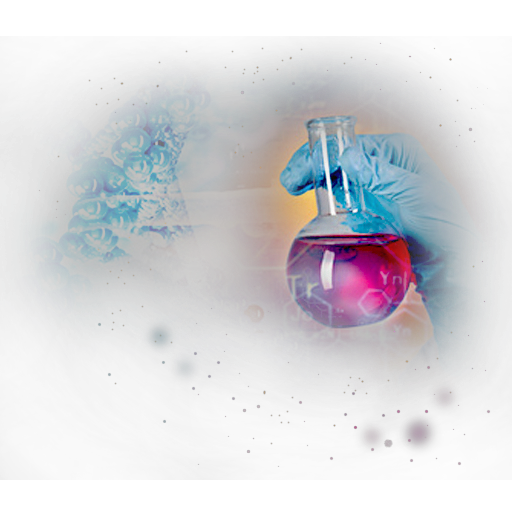 Chemistry is the science of substances, their properties and structure. Chemistry is the science of substances, their properties and structure. It also includes transformations that occur in chemical reactions and the laws, which these transformations obey. 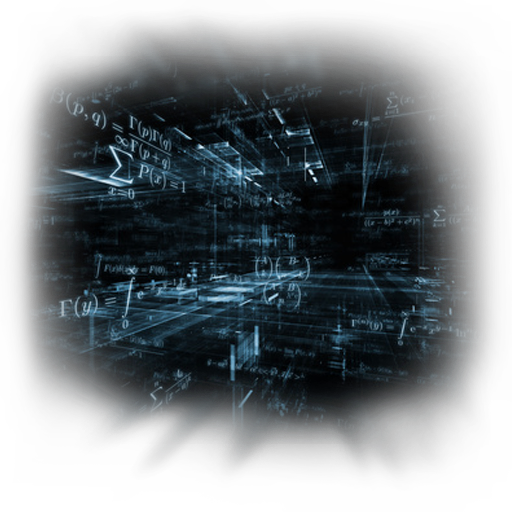 Mathematics is the foundation of all the sciences, the common language of the universe and a powerful tool for understanding reality. Mathematics is the foundation of all the sciences, the common language of the universe and a powerful tool for understanding reality. It undertakes the study of the order and measure, quantitative relationships and spatial forms of the real world. Design and construction of factories producing micromechanisms that in turn produce nanomachines. Design and construction of factories producing micromechanisms that in turn produce nanomachines. Only with the help of nanomachines is it possible to create materials with the specified molecular structure that can miniaturize, by several hundred times, the complex electronics systems in spacecraft. Initiation of a thermonuclear reaction heats fuel to temperatures over a million degrees Kelvin, and captures the resulting plasma in a magnetic trap. Initiation of a thermonuclear reaction heats fuel to temperatures over a million degrees Kelvin, and captures the resulting plasma in a magnetic trap. The emphasis is on finding an effective means of removing the released energy, and the safe, stable operation of the reactor, in addition to its miniaturization. 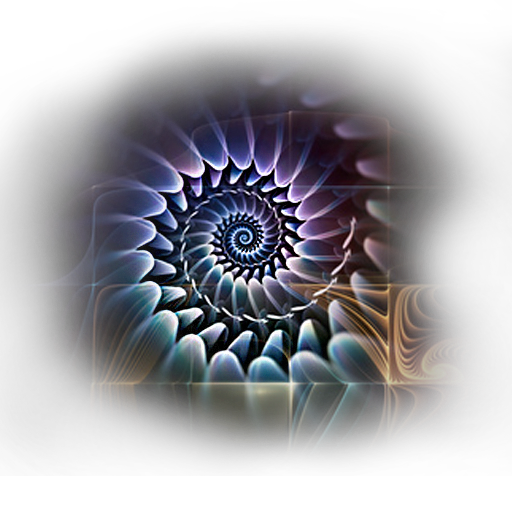 The use of fractal geometry, mathematical modeling, physical experiments and simply borrowing ideas from nature to build a rational, robust, durable design with a high level of adaptation to external conditions. 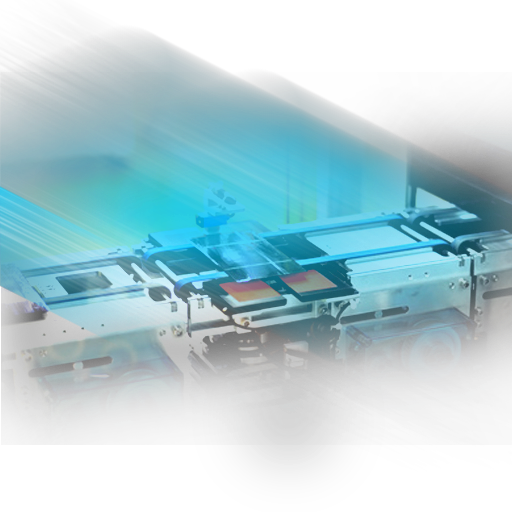 A set of technologies designed to optimize and accelerate the mass production process of various types of devices and structures. A set of technologies designed to optimize and accelerate the mass production process of various types of devices and structures. Without developed automation the construction of large ships might require dozens or even hundreds of years. 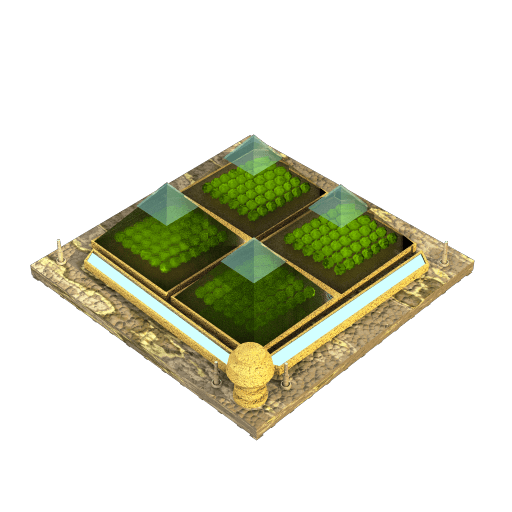 The study of alien flora and fauna, the genetic manipulation of samples, creation of hybrids for adaptation of alien biology to meet the needs of one's own race. The development of the technology of low-energy synthesis of stable superheavy g-elements. The development of the technology of low-energy synthesis of stable superheavy g-elements. The study of the physicochemical properties of the resulting elements and compounds, as well as the creation of materials and devices based on these elements. 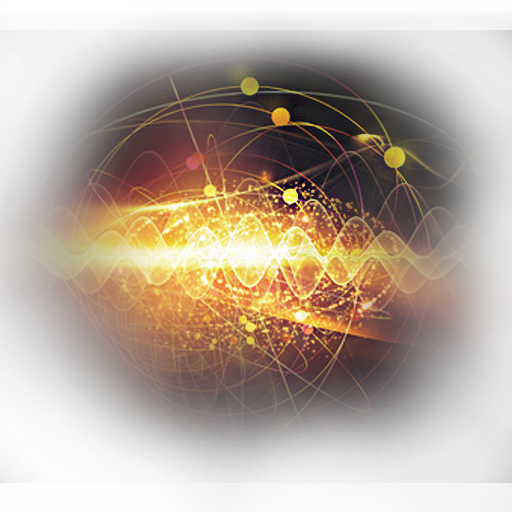 With the help of a gravitational Fermi Gamma Ray Space Telescope, spatial particle accelerator and nanodetectors, the opportunity to register and research sub-atomic particles billions of times smaller than an electron has arisen. With the help of a gravitational Fermi Gamma Ray Space Telescope, spatial particle accelerator and nanodetectors, the opportunity to register and research sub-atomic particles billions of times smaller than an electron has arisen. The unusual properties of these newly discovered particles may well shake the modern scientific paradigm. The process of obtaining high-purity, high-temperature, super-light and heavy-duty corrosion-resistant alloys. The process of obtaining high-purity, high-temperature, super-light and heavy-duty corrosion-resistant alloys consists of the following stages: 1) Joint sublimation of a group of metals in a high temperature plasma; 2) Stripping out impurities; 3) Slow cooling of gas phase metals in an unblemished crystal grid. Only a few thousand intelligent beings in the galaxy understand what a field theory is. Only a few thousand intelligent beings in the galaxy understand what a field theory is. The simplest explanation would take hundreds of hours in lectures, so just be sure that this is a very useful thing that will bring great benefits! Antimatter production on an industrial scale. 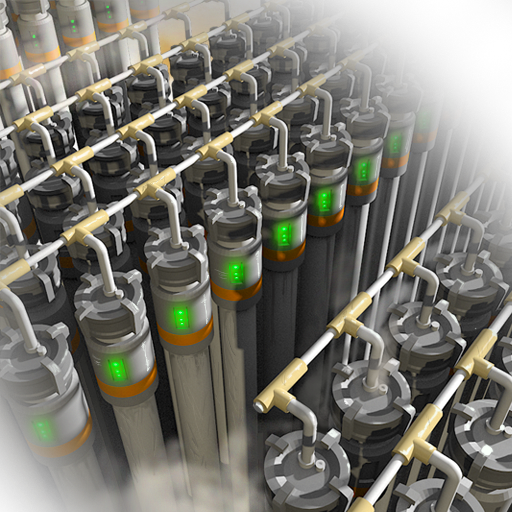 Antimatter production on an industrial scale. 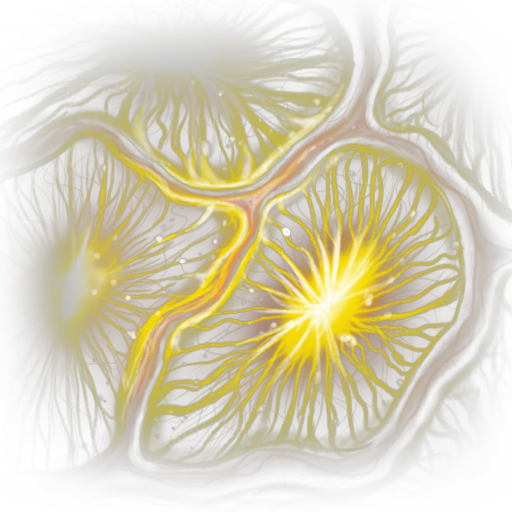 Development of special containers and storage facilities that can prevent accidental annihilation of matter, and the establishment of power plants, which operate on the effects of annihilation. The search for materials being transformed into the superconducting state at normal and high temperatures. The search for materials being transformed into the superconducting state at normal and high temperatures. The creation on this basis of quantavolution installations and new ways to transmit electricity without attrition. The study of the influence of relativistic supermassive particles that distort the topology of the space-time continuum. 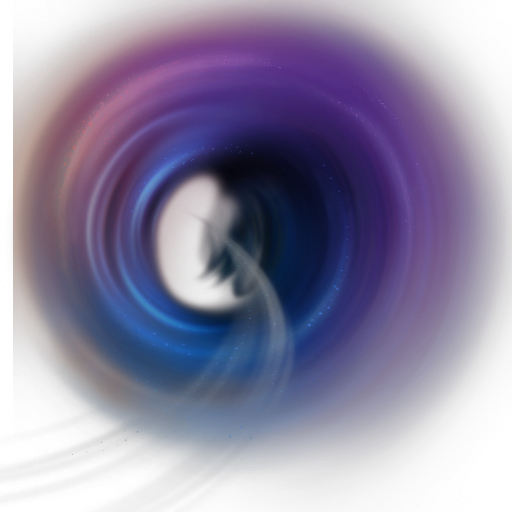 The study of the influence of relativistic supermassive particles that distort the topology of the space-time continuum, to find loopholes, wormholes and other anomalies that allow movement at speeds faster than that of light. 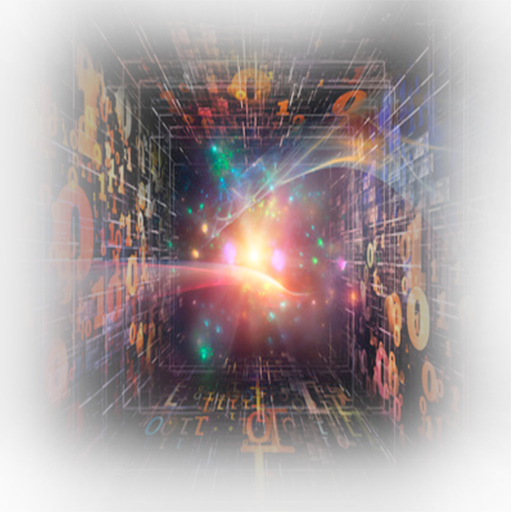 Increasing the speed of data transmission with the aid of subspace transitions of sub-atomic particles and the use of self-organizing algorithms for data processing. Increasing the speed of data transmission with the aid of subspace transitions of sub-atomic particles and the use of self-organizing algorithms for data processing. Without such calculations, it is impossible to lay a ship's course over hundreds of parsecs, not to mention the impact on the production of computers. Xenopsychology is an interdisciplinary science that interfaces with classical psychology, cultural studies, history, sociology and xenobiology. Xenopsychology is an interdisciplinary science that interfaces with classical psychology, cultural studies, history, sociology and xenobiology. 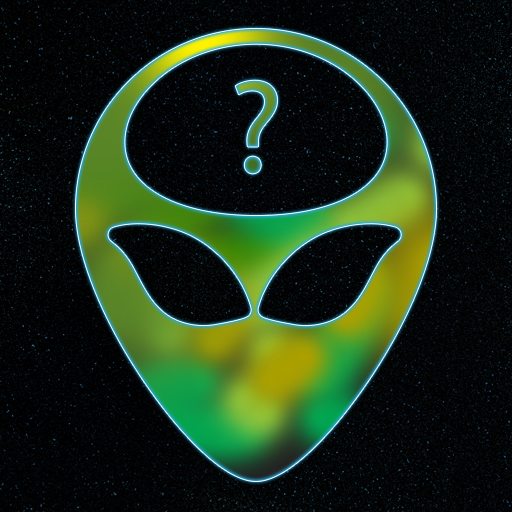 Its task is to establish contact with intelligent alien life forms, understand their behaviors, aspirations, desires, traditions and culture. 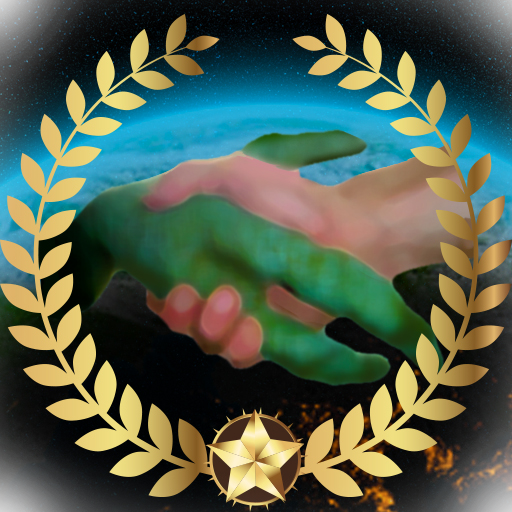 In terms of galactic multiculturalism this science is of major diplomatic, social and economic significance. 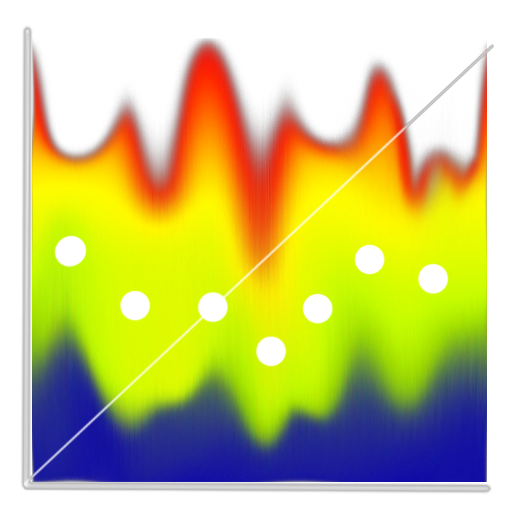 Finding the patterns and process control mechanisms occurring in plasma using the methods of nonequilibrium kinetics, thermodynamics and the theory of the self-organization of systems. Finding the patterns and process control mechanisms occurring in plasma using the methods of nonequilibrium kinetics, thermodynamics and the theory of the self-organization of systems. The widespread implementation of plasma technology in industrial production and the final decision on the question of feasibility in the creation of plasma weapons. 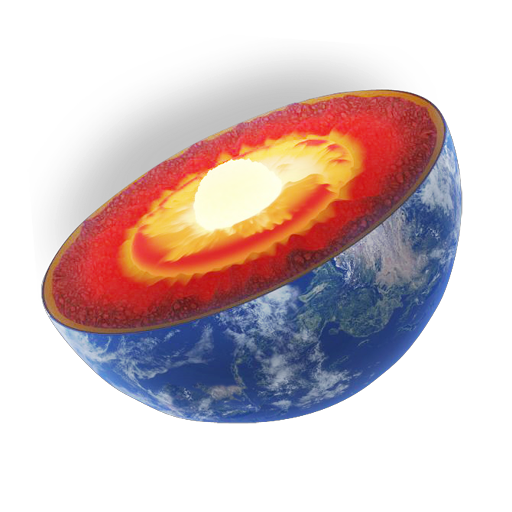 Exo-geology is the science that studies the internal structure of celestial bodies. Exo-geology is the science that studies the internal structure of celestial bodies such as planets, their satellites, asteroids, comets, planetoids and meteorites, in addition to planetary volcanism, fluvial and Aeolian processes. Special attention is paid to forecasting and mineral exploration for rare and valuable minerals, as well as the development of new technologies and methods for extraction. Synthesizing alloys inside artificial organisms and the raw materials that give off waste that are used in metallurgical and chemical industries. Synthesizing alloys inside artificial organisms and the raw materials that give off waste that are used in metallurgical and chemical industries. The results are flexible, highly elastic, refractory alloys with high electrical conductivity. Breeding, crossbreeding and genetic manipulation of different strains of bacteria; the objective being to develop super-bacterium capable of processing waste, synthesizing valuable biochemical materials and medicines and building complex organic structures. The research of force fields consists of three stages: 1) The construction of the fundamental and theoretical foundations of the theory of Force fields; 2) Testing and experimentation in pilot plants; 3) Implementation of the technology of protective force fields in mass production. Antigravitation is similar to the Meissner effect: during the transmission of a massive body into a superdense state, a complete displacement of the gravitational field occurs because of the volume of the body. Antigravitation is similar to the Meissner effect: during the transmission of a massive body into a superdense state, a complete displacement of the gravitational field occurs because of the volume of the body. This forms an anti-gravity bubble that pushes itself into the normal gravity field. The use of this phenomenon may significantly change heavy industry. 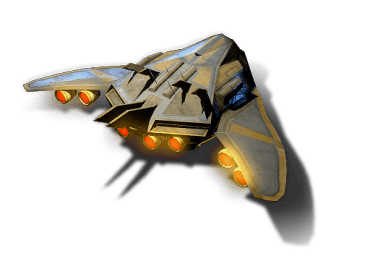 A compact but well-armed spaceship able to execute any tactical task. 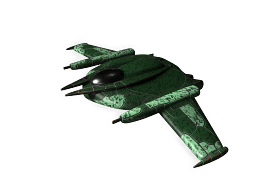 A compact but well-armed spaceship able to execute any tactical task. 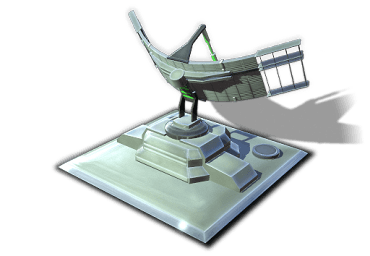 Because of its small size, it is difficult to build a universal spaceship based on this hull design; one must sacrifice either range, or weaponry, or hangar space for small ships. 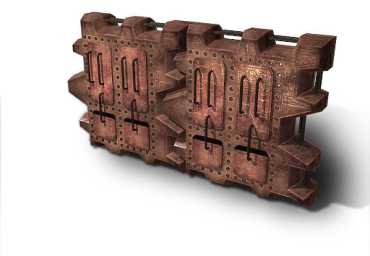 Stationary armored platform, able to carry heavy weaponry. 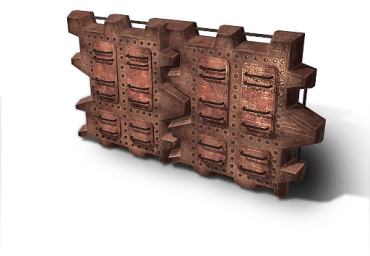 Stationary armored platform, able to carry heavy weaponry. 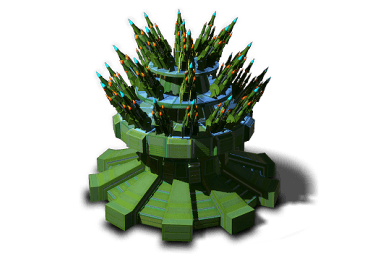 This cheap and effective defensive unit can resist a simultaneous attack by several medium-sized space ships. Large-scale but very lightly armored interstellar spaceship. Large-scale but very lightly armored interstellar spaceship. 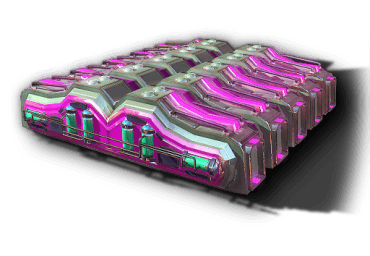 Due to its large cargo hold, it can carry a significant amount of fuel as well as large modules. This hull design can be used to construct ships used for colonization, tankers, long-range research vessels, repair ships, assault troop carriers, etc. This light fighter is a fast spaceship with excellent maneurability. This light fighter is a fast spaceship with excellent maneurability. 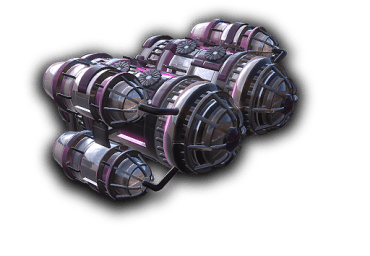 Carrying light weapons and lightly armoured, it is effective when operating in a large fleet. 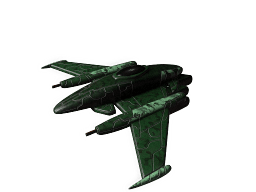 Larger version of a fighter spaceship. 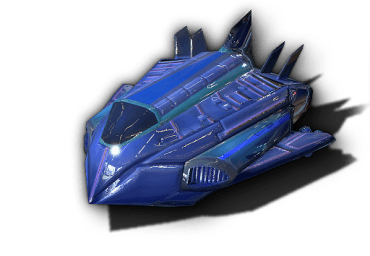 Larger version of a fighter spaceship. This ship accepts the installation of medium-sized pylons, upon which heavier weapons can be mounted. 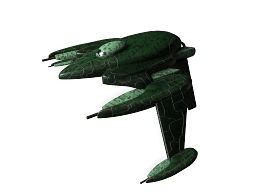 Fighter capable of carrying the heaviest of weapons available to small class ships. 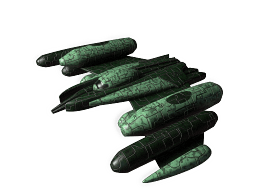 Fighter capable of carrying the heaviest of weapons available to small class ships. At the same time, it is usually slightly slower in speed than lighter ships. Next in line after the Corvette class according to hull size. Next in line after the Corvette class according to hull size. 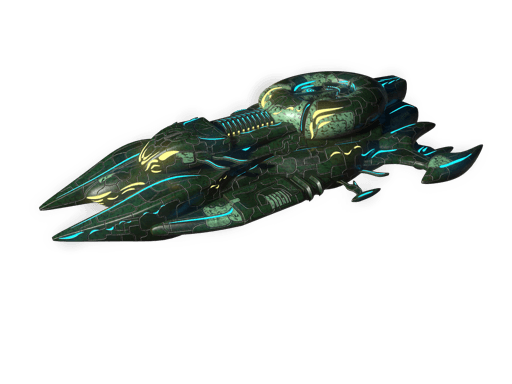 Ships of this class have much more internal space than Corvettes, allowing for more weaponry or longer effective range. Heavily armed small craft, the basic purpose of which is to engage in combat with larger classes vessels. Heavily armed small craft, the basic purpose of which is to engage in combat with larger classes vessels. 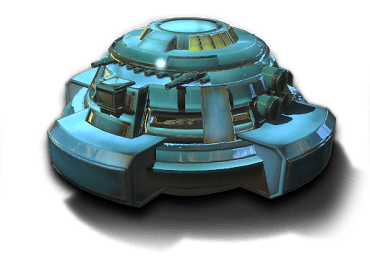 It is usually substantially inferior in speed and maneuverability to smaller ships, but can have a rotating turret installed, allowing it to fire at any angle. The largest hull size among mid-sized ships. The largest hull size among mid-sized ships. 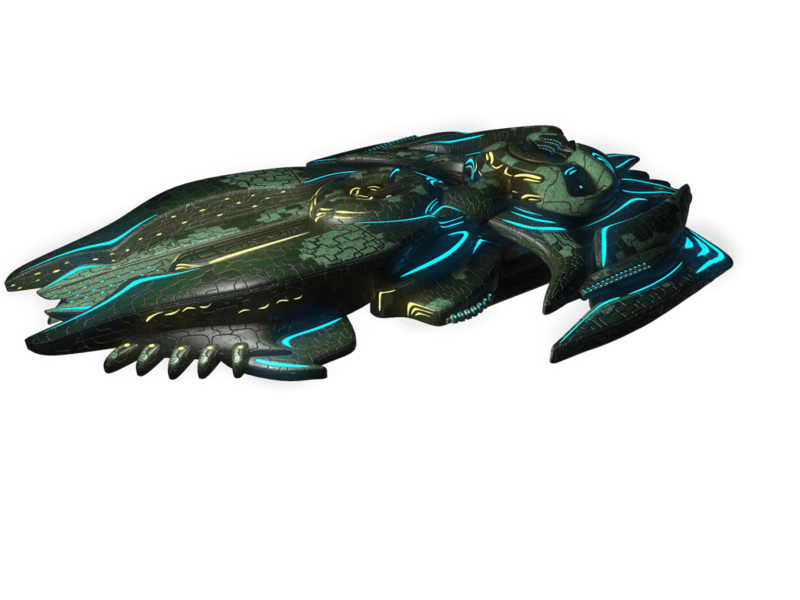 Powerful weapons and armour, plus great self-sufficiency make ships of this class a formidable force in any conflict. 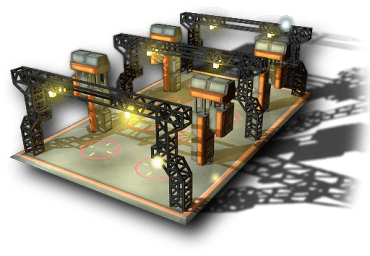 Huge orbital platform carrying a large amount of weapons. 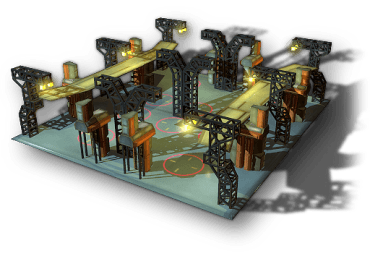 Huge orbital platform carrying a large amount of weapons. Fire power surpasses even the Dreadnought, though it is incapable of interstellar travel. A capital ship that allows the most effective weapons and equipment to be installed. 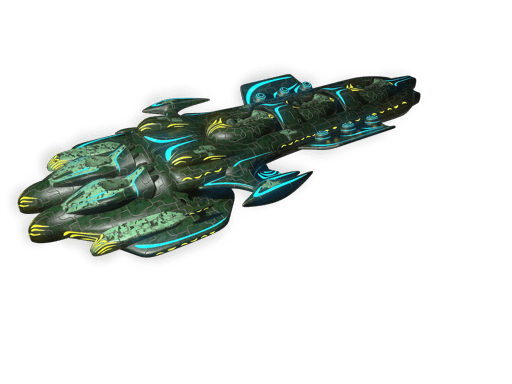 A capital ship that allows the most effective weapons and equipment to be installed. 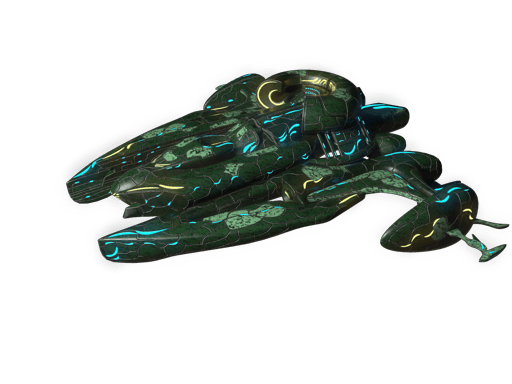 It can significantly exceed middle-class ships in terms of fire power, but is usually inferior to them in speed. The largest of available ship hulls. The largest of available ship hulls. Ships of this class can stand alone against an entire fleet of smaller ships, but their construction and maintenance costs can be a serious challenge to the economy of a state. This basic armor using titanium alloys is the lightest armor with the lowest level of protection. This basic armor using titanium alloys is the lightest armor with the lowest level of protection. Appropriate for use in non-military equipment. This basic armor using tungsten alloys is a heavy armor with an intermediate level of protection. Due to an increase in thickness this enhanced armor is more durable and even heavier. High-tech armor formed from micro-organisms. High-tech armor formed from micro-organisms. It weighs almost as much as titanium, but is highly durable. Much lighter and stronger when compared to tungsten armor. Advanced armor using nanostructured alloys with the addition of reidium as an alloying additive. Much lighter and stronger when compared to tungsten armor. Armor enhanced through the use of thick-skinned microorganisms, giving a more durable and heavier armor. This armor is enhanced due to an increase of the thickness. This armor is enhanced due to an increase of the thickness. A more durable and heavier armor. An advanced version of the armor. Under the influence of a femto-impulse discharge, reidium molecules begin to move with relativistic speed in the crystalline grid of the alloy, improving its strength properties as if the entire alloy was made of pure reidium. An advanced version of the armor. Under the influence of a femto-impulse discharge, reidium molecules begin to move with relativistic speed in the crystalline grid of the alloy, improving its strength properties as if the entire alloy was made of pure reidium. It weighs more than the enhanced version, requires a constant input of energy, but fully deflects the impact of weak projectiles. An advanced version of the armor. In creating the casing special micro-organisms, which have been exposed to gamma radiation, begin to multiply rapidly up to a predetermined level. An advanced version of the armor. In creating the casing special micro-organisms, which have been exposed to gamma radiation, begin to multiply rapidly up to a predetermined level. It offers full protection from minor damage. 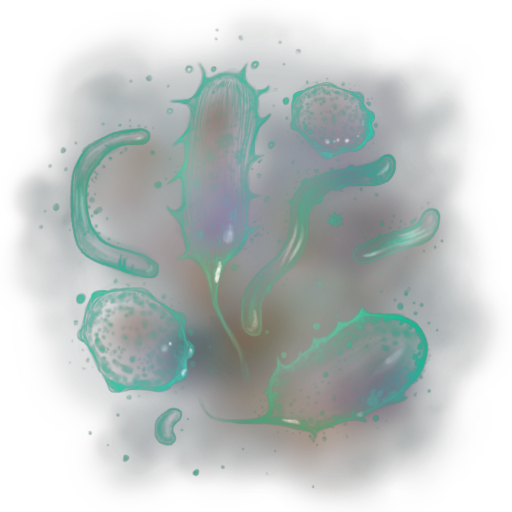 However, when damage occurs, regeneration is largely impossible because of the harm done to the neural connections of the microorganisms themselves. It weighs more than the enhanced version, and requires constant power. Lightweight version of active reidium armor, with lower strength and weight. Lightweight version of active reidium armor, with lower strength and weight. A suitable option for light vessels. Requires a constant input of energy. This lightweight version of the Active Lagon Armor variant is achieved through the use of thin-skinned species of gamma radiation-absorbing microorganisms. This lightweight version of the Active Lagon Armor variant is achieved through the use of thin-skinned species of gamma radiation-absorbing microorganisms. Lower strength and weight, this option is suitable for light vessels and requires a constant input of energy. Super hi-tech armor developed on the basis of reidium armor, but with the addition of gravitonium. Super hi-tech armor developed on the basis of reidium armor, but with the addition of gravitonium. The impact of projectiles upon its surface area causes a deformation of space, which takes most of the kinetic energy of the blast. Somewhat lighter than reidium armor while at the same time more durable. An advanced version of armor. The alternating magnetic field increases the size of the surface areas of the deformed space, allowing it to absorb high energy projectiles. An advanced version of armor. The alternating magnetic field increases the size of the surface areas of the deformed space, allowing it to absorb high energy projectiles. Heavier in weight than the enhanced version, has a constant demand for energy, but fully deflects the impact of weak projectiles. 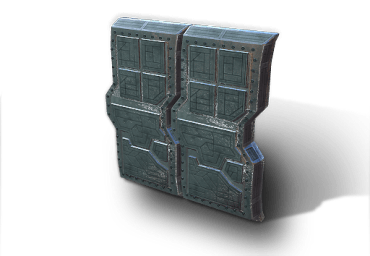 Lightweight version of active warp armor with lower strength and weight. Lightweight version of active warp armor with lower strength and weight. It is a suitable option for light vessels. Requires a constant input of energy. 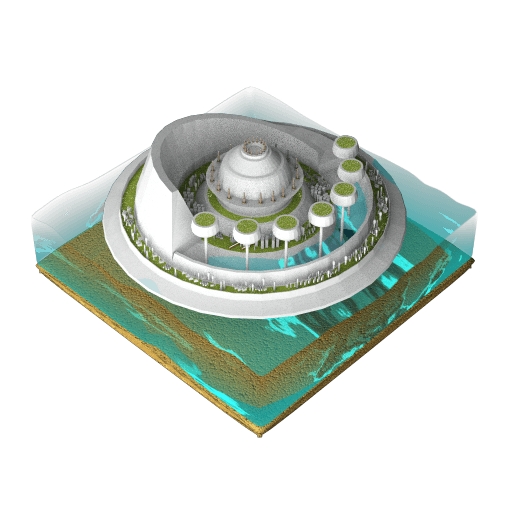 Floating platform that allows colonies on oceanic planets to expand. 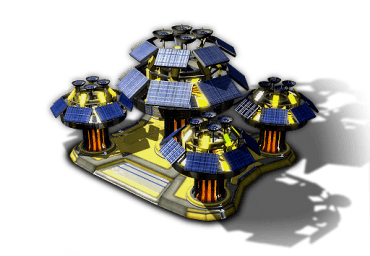 Floating platform that allows colonies on oceanic planets to expand. 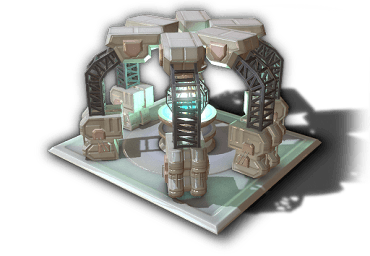 Without this floating platform technology, the population of a colony is limited to the space in a colonization module. 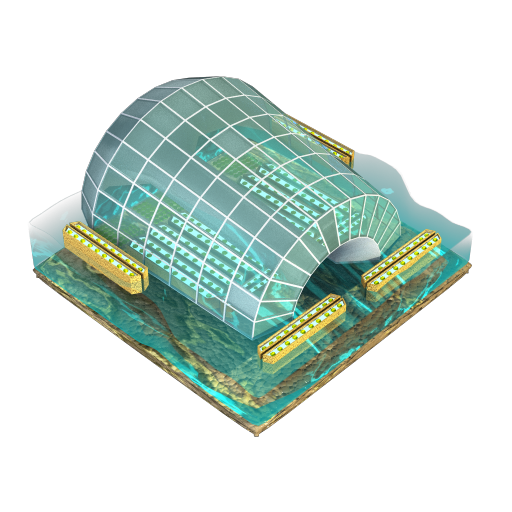 Technology for building atmospheric domes allows colonies to settle on planets without a breathable atmosphere. 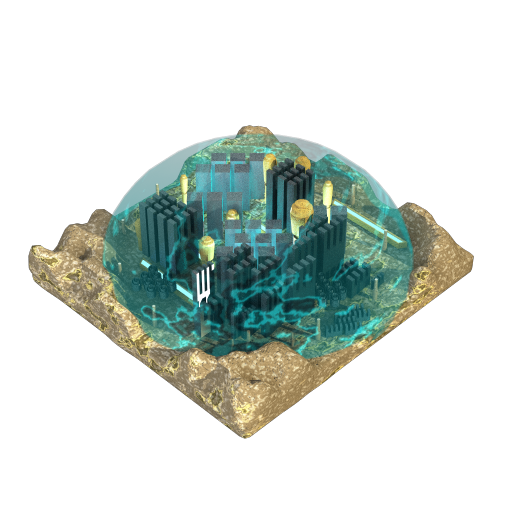 Technology for building atmospheric domes allows colonies to settle on planets without a breathable atmosphere. 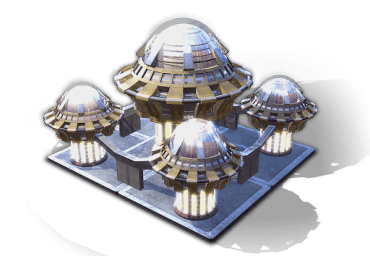 Without such atmospheric domes the population of a colony cannot grow beyond the limits of the colonization module. Highly automated marine farming for food production on oceanic type planets. 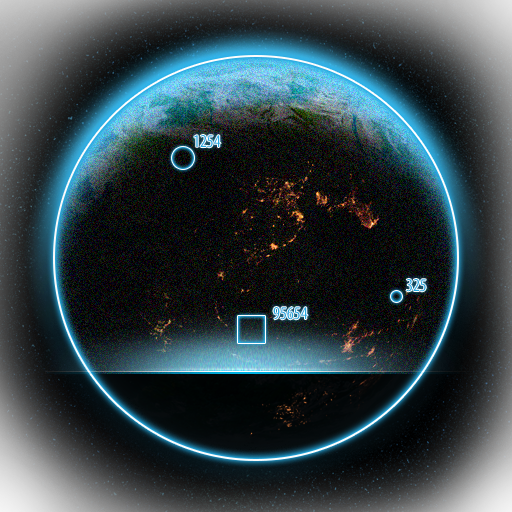 Gathers information about nearby systems and search for stealthly spy ships. 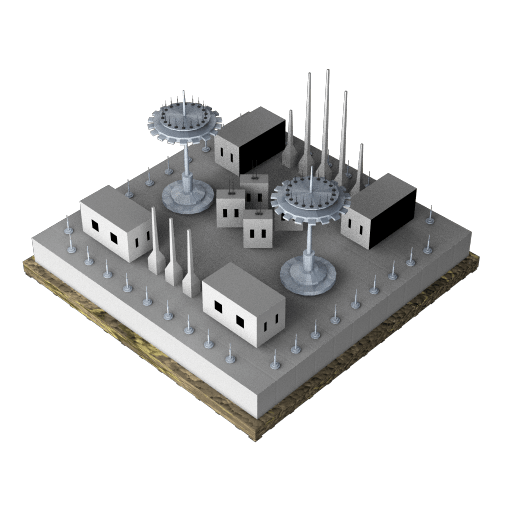 A complex of military facilities is tasked with protecting the civilian population of the planet against external and internal threats. A complex of military facilities is tasked with protecting the civilian population of the planet against external and internal threats. They are especially effective in dealing with enemy attacks. Specialized laboratory that allows scientific experiments to be performed in outer space. Specialized laboratory that allows scientific experiments to be performed in outer space. Significantly speeds up scientific research. Gives experience to spaceships crew. 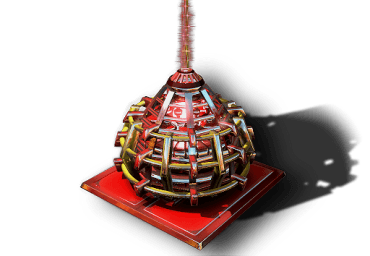 Modification of an atmospheric dome that protects the population from high levels of radiation that are typical for some planet types. 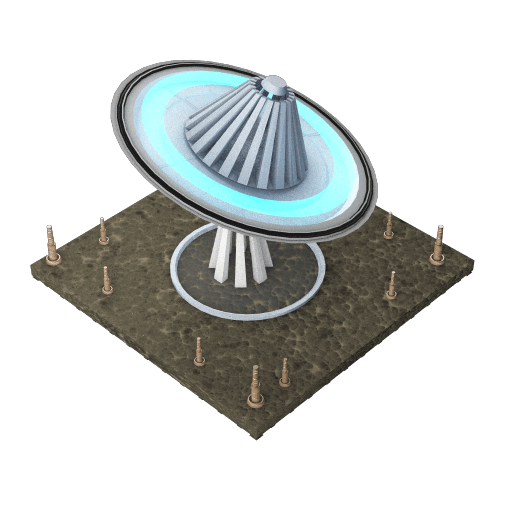 Modification of an atmospheric dome that can be built on planets with high seismic activity. A network of radar stations and anti-aircraft weapons launchers, designed to protect planets from orbital bombardment. Highly productive system with a regulated artificial climate, necessary for producing food on planets that are not suitable for farming. The celestial station is a huge platform soaring in the upper and middle layers in the atmosphere of gas giants. The celestial station is a huge platform soaring in the upper and middle layers in the atmosphere of gas giants. 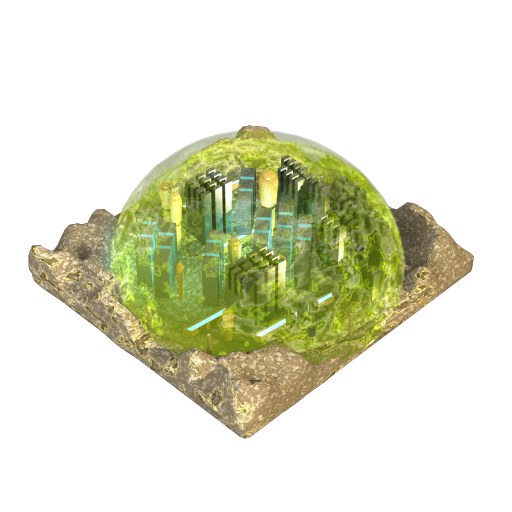 It has a built-in atmospheric dome and a network of gas-extracting plants. 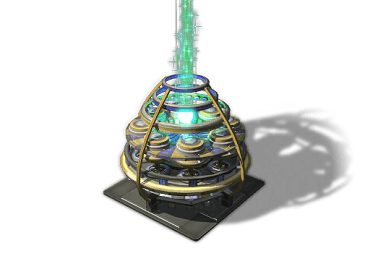 Use of a celestial station increases a world's population by 1000 persons. 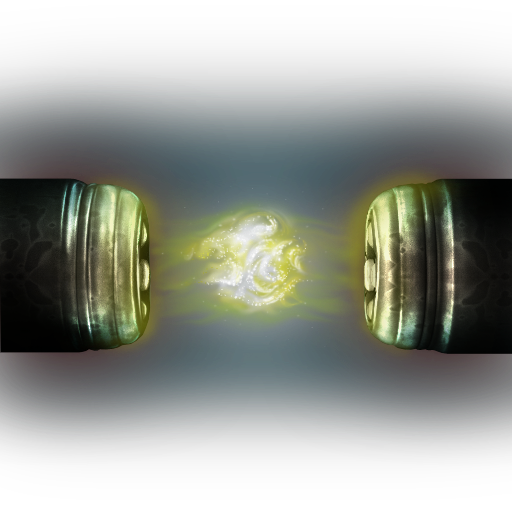 A basic engine using thermonuclear fusion for propulsion energy. 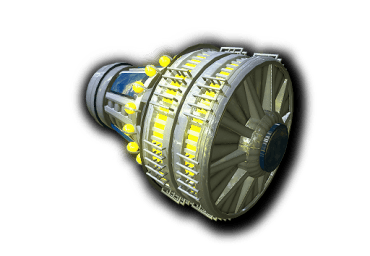 A basic engine using thermonuclear fusion for propulsion energy. Deuterium-tritium fuel is heated by terawatt laser beams, initiating a thermonuclear reaction. 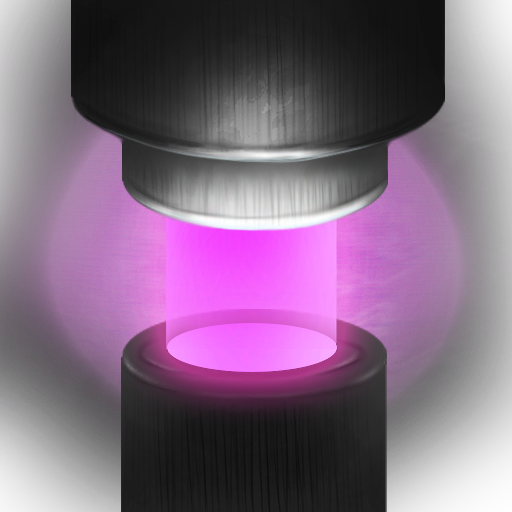 Plasma, formed by means of an alternating magnetic field, is forced through the nozzle, creating a powerful thrust. Modification of the basic engine based on a rational layout and methods of fractal geometry that allow two TRE engines to be paired in one array. Modification of the basic engine based on a rational layout and methods of fractal geometry that allow two TRE engines to be paired in one array. This gives an engine with almost double the thrust, but with a more compact size and lower power consumption in comparison with two ordinary TRE engines. Allows the vessel to make sharp maneuvers in any given direction. Modification of the propulsion system. Modification of the propulsion system. With this system, ionized gas may be discharged in any direction through additional nozzles located on each side of the hull. This allows the vessel to make sharp maneuvers in all directions. An advanced engine using ionized gas to produce thrust. An advanced engine using ionized gas to produce thrust. 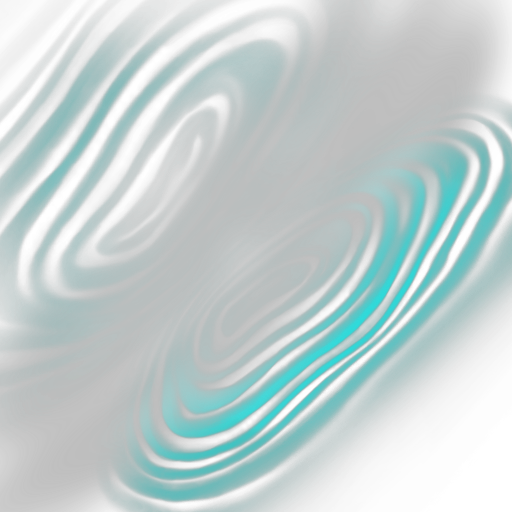 The inert gas is introduced into the engine where, under the influence of an electrostatic field, it is first ionized and then accelerated in an alternating magnetic field, finally to be discharged through a nozzle. The best engine for specific functions. An advanced engine with a customized layout using microthermonuclear explosions to produce thrust. An advanced engine with a customized layout using microthermonuclear explosions to produce thrust. Heavy water with dissolved deuterium and tritium is proportionally fed at high pressure into the engine, where, under the influence of an ultrasonic activator, a thermonuclear fusion reaction is initiated. Finally, a jet of heavy water is fired through a nozzle and by exploding creates a powerful thrust. Modification of the propulsion system. Now a stream of heavy water can be discharged in any direction through additional nozzles located on either side of the hull. This allows the vessel to make sharp maneuvers in all directions. A high-tech engine using antigravity to create thrust. A high-tech engine using antigravity to create thrust. Resonators, mounted inside the engine compartment, impact a gravitonic bubble, transforming it into a superdense state. From this an anti-gravity bubble is formed and then pushed into a normal field of gravity. The main advantages of the engine – installable in any location and its yield of high power. 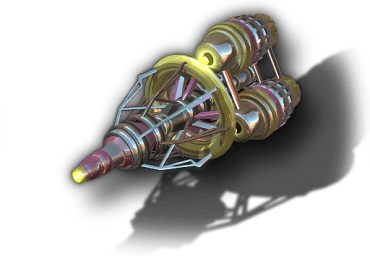 Enhanced anti-gravity engine, which uses highly concentrated gravitons for fuel. A high-tech engine using a magnetic force field to produce thrust. A high-tech engine using a magnetic force field to produce thrust. 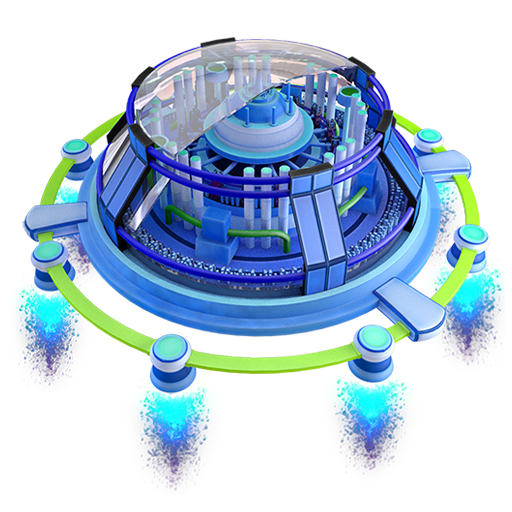 The engine is a force-field generator that creates an invisible magnetic sail that runs along the ship's hull. 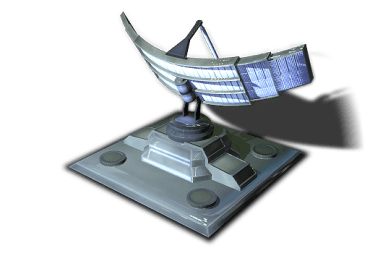 Under bombardment from cosmic particles, this sail creates a high level of thrust. Maintaining such a sail, however, consumes a great deal of energy. High-tech engine with a customized layout using inertia to produce thrust. High-tech engine with a customized layout using inertia to produce thrust. The engine is in reality an reidium flywheel spinning in an alternating magnetic field. 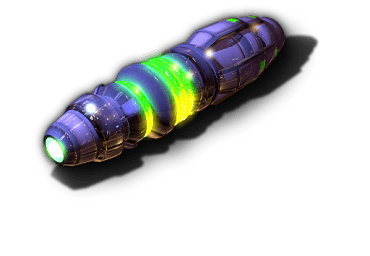 The unique properties of reidium give rise to an anomalous instance of inertia, which transfers a high level of acceleration to the ship. The speed of the vehicle is proportional to the speed of the rotating flywheel, resulting in a high expenditure of energy, but also a highly efficient engine. 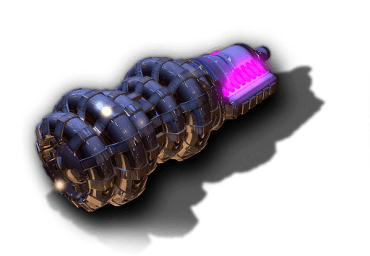 Large-scale anti-gravity engine, using heavy gravitonium isotopes for fuel . Hi-tech engine using the energy of annihilation to produce thrust. Hi-tech engine using the energy of annihilation to produce thrust. With the aid of a magnetic trap, matter and anti-matter in a plasma state are discharged into the engine, where annihilation occurs. Thanks to a sub-atomic catalyst this substance is entirely converted into high-energy radiation, which is emitted to the ship's exterior. One of the most powerful engines, it is large and heavy. Modification of the engine in which the shape of the sail can be changed, allowing the vessel to make sharp maneuvers in all directions. Modification of the engine, which has, instead of one inertial propulsion unit, four small engines installed in the form of a tetrahedron. Modification of the engine, which has, instead of one inertial propulsion unit, four small engines installed in the form of a tetrahedron. This allows the vessel to make sharp maneuvers in all directions. Modification of the propulsion system, which can emit radiation in any direction, exiting the vehicle via auxiliary outputs that are located along the hull. Modification of the propulsion system, which can emit radiation in any direction, exiting the vehicle via auxiliary outputs that are located along the hull. This allows the vessel to make sharp maneuvers in all directions. 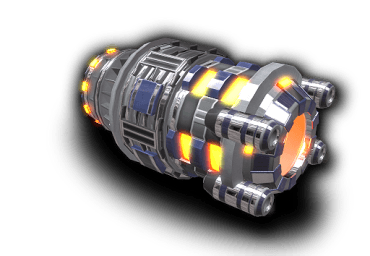 Basic electric generator that converts energy from nuclear fusion. 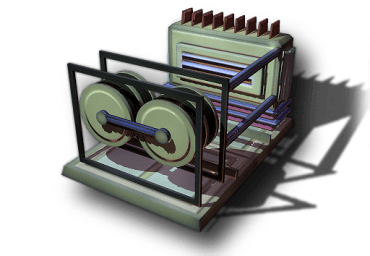 Basic electric generator that converts energy from nuclear fusion. A nuclear reaction heats up the working substance, which enters a gaseous state and, being under high pressure, spins a turbine. This mechanical energy is converted into electricity. Not the most efficient system, but reliable and simple. 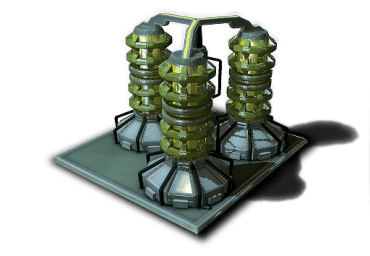 The reactor has slightly more power, but a much smaller size than the basic nuclear reactor. 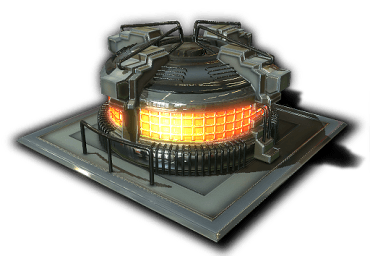 An improved version of the nuclear reactor, wherein thermal energy is directly converted into electricity by means of special thermoelectric materials. 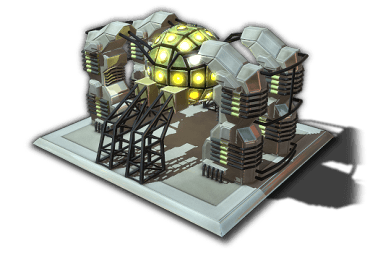 The reactor has slightly more power, but a much smaller size than the basic nuclear reactor. 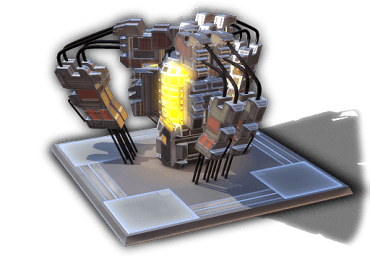 Advanced electric generator that converts energy from nuclear fusion. 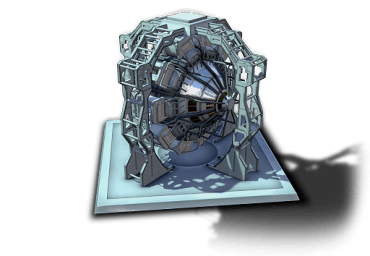 Advanced electric generator that converts energy from nuclear fusion. A mixture of deuterium and helium-3 is heated to a temperature of several million degrees, initiating a fusion reaction that emits protons, which create an electric current. 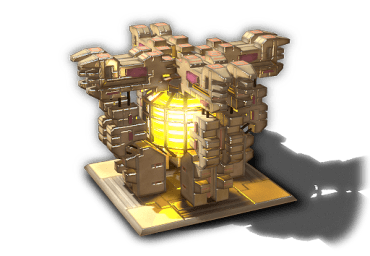 A powerful, large and efficient reactor. 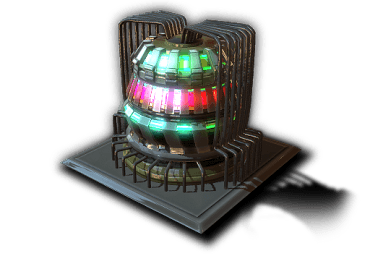 High-technology electric generator that converts energy from thermonuclear fusion. High-technology electric generator that converts energy from thermonuclear fusion. Thanks to the muon catalyst thermonuclear synthesis ignites at a lower temperature, with the reaction itself occuring more intensively. 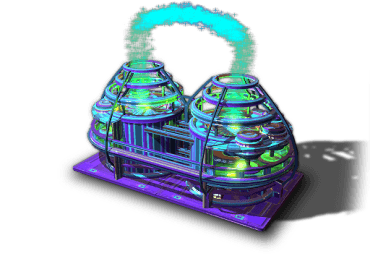 The reactor is twice as powerful as its basic nuclear counterpart, but is the same size. High-tech power generator running on quark-gluon plasma. High-tech power generator running on quark-gluon plasma. During fluorination heavy alkaline metals together with a sub-atomic catalyst give off a very strong thermal effect, heating matter until it transforms into the state of quark-gluon plasma. Inside this substance a quantum mechanical reaction takes its course, maintaining the temperature of the plasma over a long period of time. 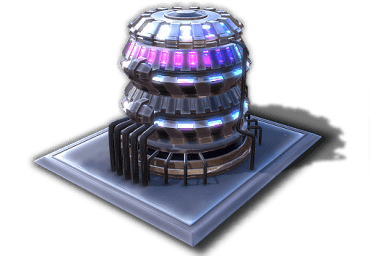 The quark-gluon is a powerful and expensive reactor. High-technology generator that converts the energy of gravitational waves. High-technology generator that converts the energy of gravitational waves. A large sphere of heavy duty magnetic alloy occupies an anti-gravity bubble. At the slightest change in the external gravitational field, the bubble begins to move, and with it the sphere. 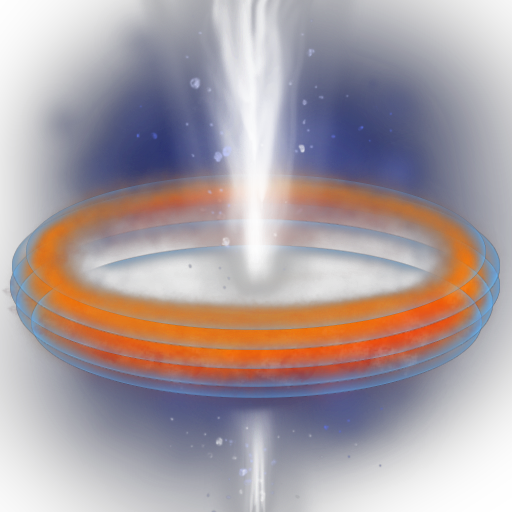 This creates a powerful electromagnetic field that is converted into electricity. 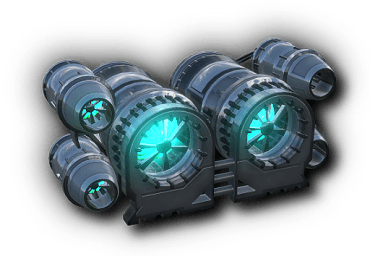 This very powerful and large generator can be adapted to any type of ship. High-tech power generator that functions due to the birth and disappearance of virtual pairs in a physical vacuum. High-tech power generator that functions due to the birth and disappearance of virtual pairs in a physical vacuum. 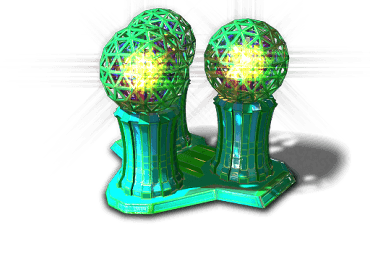 With the aid of local space curvature it's possible to separate virtual pairs, which, upon being reunited again, discharge large amounts of energy. The efficiency of this arrangement is less than the photon generator, because the creation of curved space expends a great deal of energy. Due to certain fundamental size limitations of this generator, it cannot be reduced in size for installation on small ships. A small increase in the size of the magnetic sphere allows capacity to be increased by 21%. A small increase in the size of the magnetic sphere allows capacity to be increased by 21%. This modification cannot be installed on small ships. The doping of the magnetic sphere with special additives can increase capacity, while maintaining the initial size of the generator. 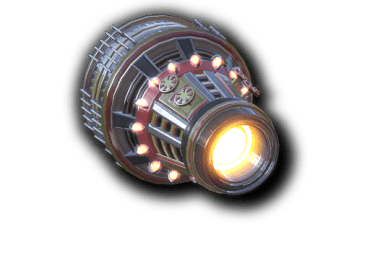 This high-technology power generator functions on the basis of the annihilation of matter. 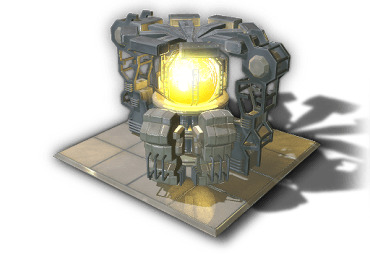 This high-technology power generator functions on the basis of the annihilation of matter. With the aid of a magnetic trap, matter and anti-matter in a plasma state are fed into a mixer, where the annihilation occurs. Thanks to a sub-atomic catalyst the substance is completely converted into high-energy radiation, able to supply all vehicle systems. To contain the radiation a very thick layer of protection is needed, so this generator can be installed only on heavy vehicles. Standard small capacity force shield. 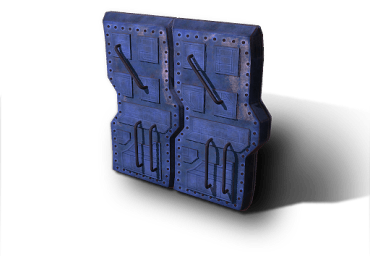 Standard small capacity force shield. An electromagnetic field dissipates energy weapon projectiles, and forces as much as 60% of the missiles and torpedoes that are launched at the ship to detonate at a safe distance. High-technology shield with high capacity. 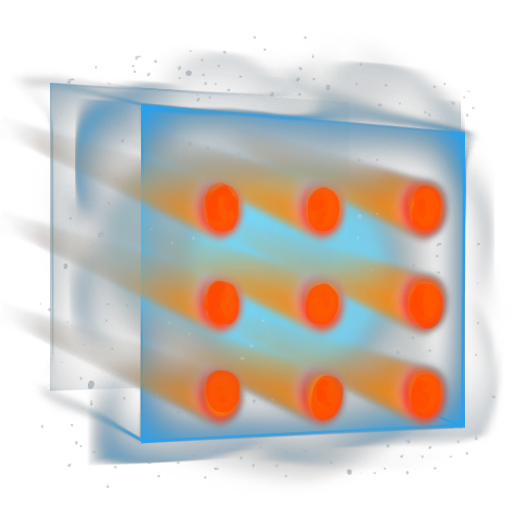 Hot plasma circulates in a magnetic field, absorbing any radiation from energy weapons. High-technology shield with high capacity. Hot plasma circulates in a magnetic field, absorbing any radiation from energy weapons. It is highly likely that missiles and torpedoes that may be fired into the plasma field will evaporate. Due to technical limitations, this shield can only be installed on large ships or stationary platforms. 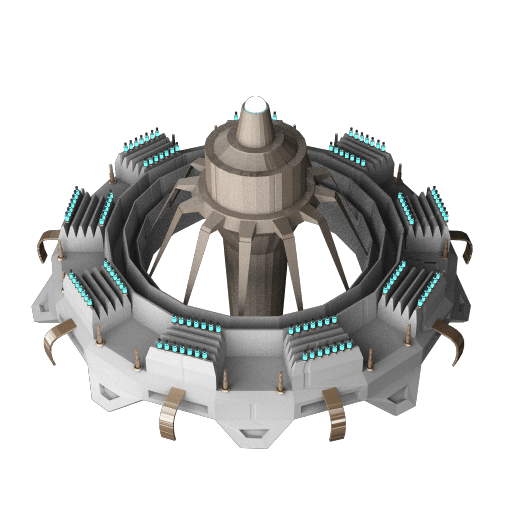 Improved version of the electromagnetic shield. 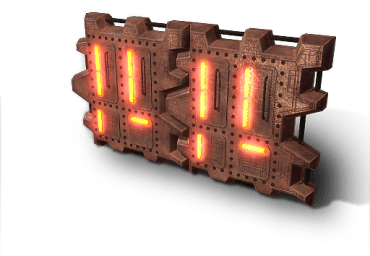 Improved version of the electromagnetic shield. In this version the shield is formed by generating two coherent electromagnetic fields that provide increased capacity and fast rate of recovery. It has very large overall dimensions and consumes even more energy. Advanced power shield with maximum capacity. Advanced power shield with maximum capacity. The ionized gas retained by a magnetic field does an outstanding job of diffusing the impact of energy weapons, but is poor protection against missiles and torpedoes. This device has a large size and consumes a great deal of energy. Medium capacity high-technology shield. 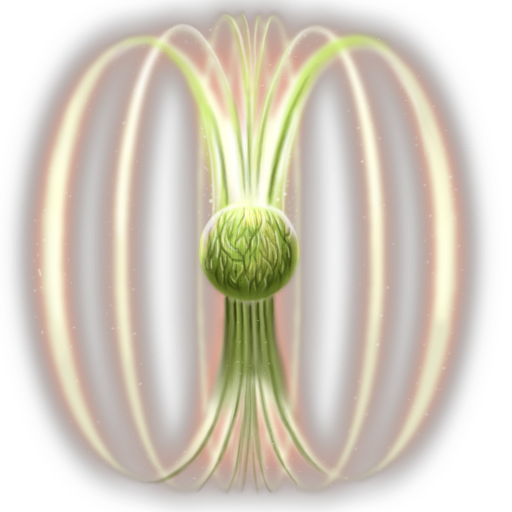 Alongside the magnetic field a stream of high-energy protons circulates, effectively absorbing the radiation from energy weapons. Medium capacity high-technology shield. Alongside the magnetic field a stream of high-energy protons circulates, effectively absorbing the radiation from energy weapons. 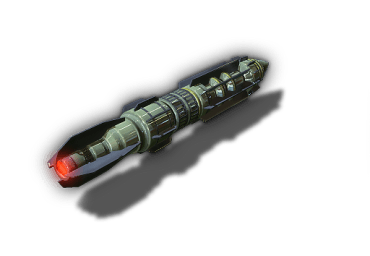 If a missile or torpedo enters the proton field, the protons release their stored kinetic energy, destroying them. This device has large overall dimensions and average power consumption. 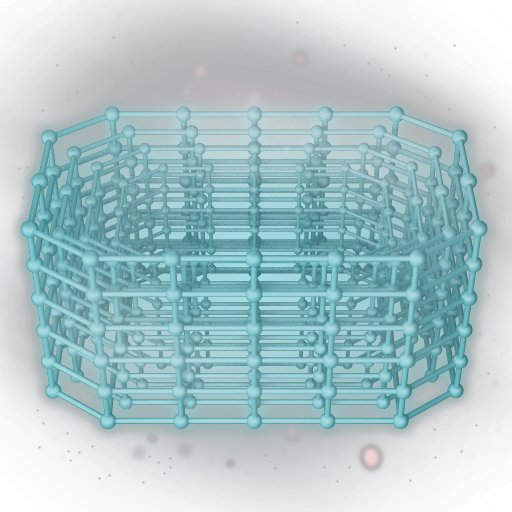 A high-tech shield with an average capacity, which creates a deformation of space-time around the hull. 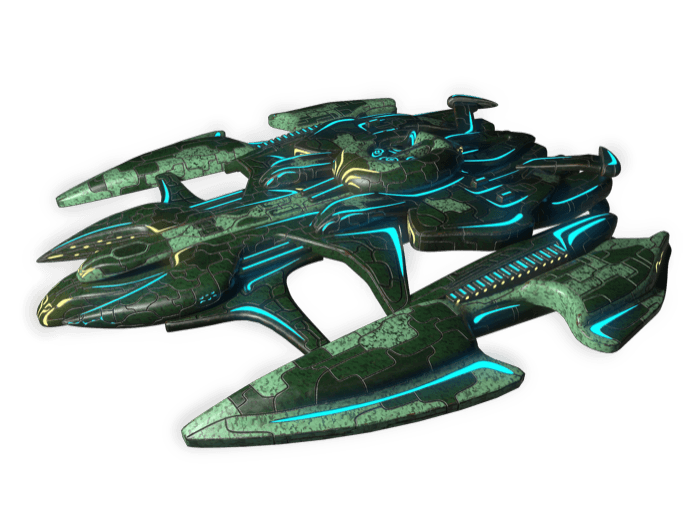 A high-tech shield with an average capacity, which creates a deformation of space-time around the hull. This very effectively diffuses the radiation of energy weapons, and has a high kill-rate for missiles and torpedoes. 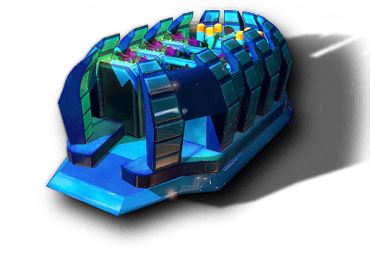 Modification of the warp shield, which maximizes the capacity. 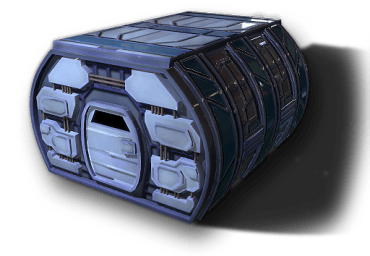 Modification of the warp shield, which maximizes the capacity. Compared to conventional space-time deformation, microdeformation requires much less energy and allows it to more efficiently diffuse radiation from energy weapons. 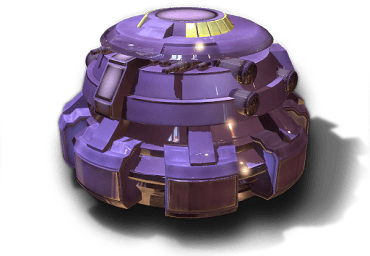 However, this shield is very ineffective at stopping missiles and torpedoes. 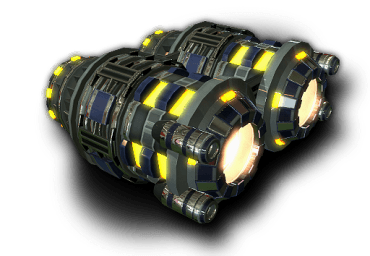 This modification of the warp shield maximizes protection from missiles and torpedoes. 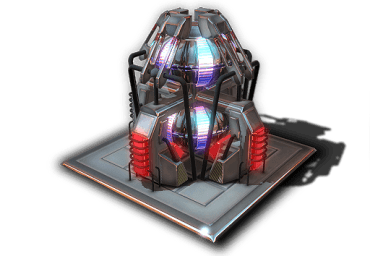 This modification of the warp shield maximizes protection from missiles and torpedoes. The vortex distortion of space-time literally tears apart anything that hits it, and also absorbs radiation from energy weapons. 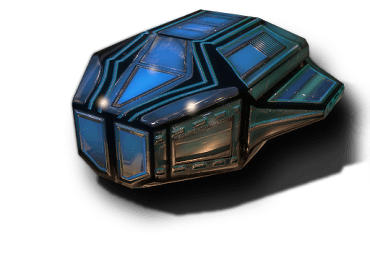 This shield has a greater capacity than a conventional warp shield and a smaller overall size. Assimilation control program effectively supresses all xenophobia-related unrest. Assimilation control program effectively supresses all xenophobia-related unrest, but requires the expenditure of foodstuffs, Gravitonium and Reidium. It also reduces planet productivity by 10%. Social program aimed at accelerating the suppression of conflicts related to xenophobia. Social program aimed at accelerating the suppression of conflicts related to xenophobia. 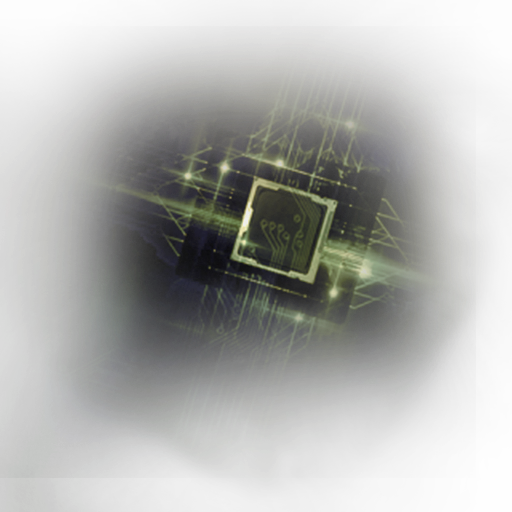 It utilizes the latest discoveries in xenopsychology that allows misunderstandings between the races to be quickly erased. This technology increases the amount of extracted resources on the planet. As a rule, the bulk of useful mineral deposits occur at a depth of several hundred or even several thousand kilometers. In order to reach them, ultra-deep mines must be drilled. This can be done using a terawatt laser, which vaporizes the substrate. As the laser machine bores inward, the reinforcement of the walls of the mine and placement of mining equipment continue. While this happens gases formed are evacuated into reverse-sublimation equipment, where they are turned into a fine dust. Such a procedure is necessary even on planets where there is no atmosphere or are otherwise unsuitable for life, because dust can clog, and then spoil mining equipment. This technology increases the amount of extracted resources on the planet. This system consists of probing emitters and thousands of spectrometers, each of which measures the energy emissions reflected from the surface of the planet in various spectral ranges. This system consists of probing emitters and thousands of spectrometers, each of which measures the energy emissions reflected from the surface of the planet in various spectral ranges. This allows imaging of a virtually continuous spectrum, giving detailed information about the geochemical composition of the planet and specific data on valuable resource deposits and their volumes. This analogue hyperspectral scanner of the planet interior differs only in that it is configured to capture a specific signature of valuable gaseous compounds included in the composition of the atmosphere of gas giants. 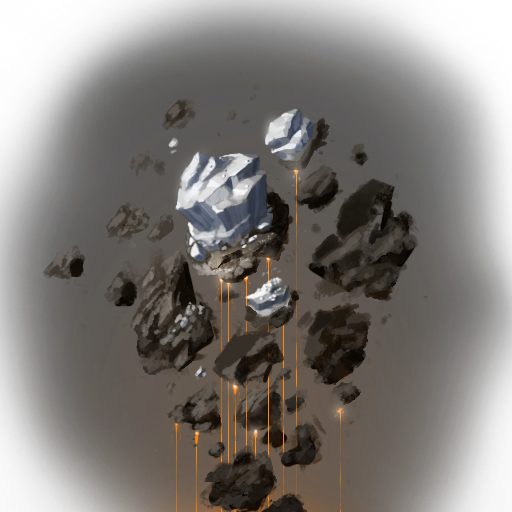 This new technological method of enriching ore is based on the deformation effects of the space-time continuum. 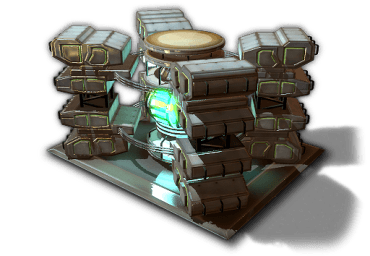 This new technological method of enriching ore is based on the deformation effects of the space-time continuum. This method is not only known for its easy implementation, but also the increased efficiency of enrichment. It significantly augments the amount of extracted minerals, but it is not, however, applicable for extraction of organics. This unique method of processing ore deposits uses a range of modern computing technologies, cutting-edge chemical-physical methods and innovative ways of organizing work systems. This unique method of processing ore deposits uses a range of modern computing technologies, cutting-edge chemical-physical methods and innovative ways of organizing work systems. 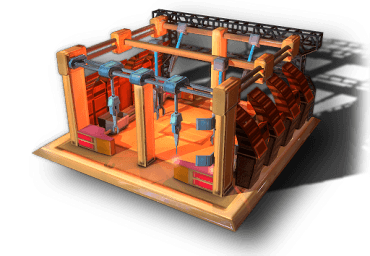 It allows 100% of the resources to be extracted without any losses in performance and efficiency. Module for interstellar transport of small ships and spacecraft (orbital platforms, satellites, etc. ), which are not equipped with hyperdrive. Module for interstellar transport of small ships and spacecraft (orbital platforms, satellites, etc. ), which are not equipped with hyperdrive. Unlike in hangars, when stored in containers ships and machinery must first be partially disassembled and then reassembled on arrival at the destination. 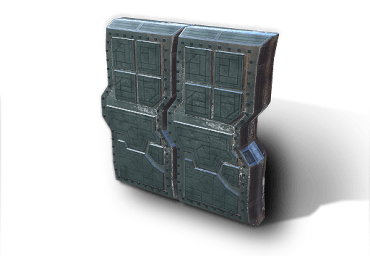 By using this module it is possible to transport small ships, which are ready at any moment to depart from the hangar and take part in a battle. 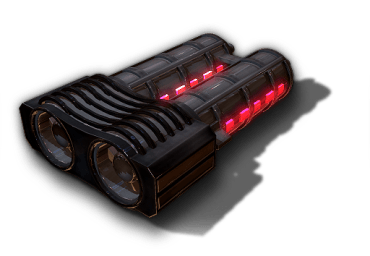 A basic scanner, which can capture the heat signatures from small ship engines over short distances. 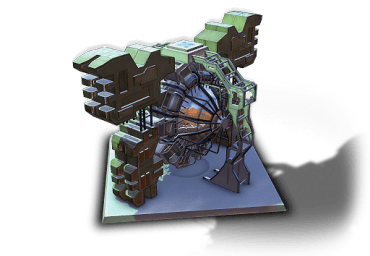 High-tech module, the task of which is to provide colonists with every necessity for the early stages of colonization. 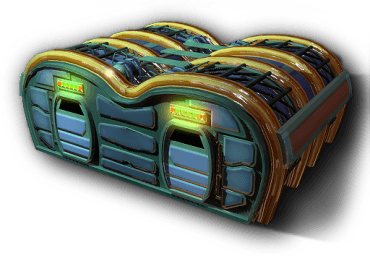 During colonization the hull can be used as building material; therefore it is advisable to use inexpensively designed ships. Highly sensitive hardware complex intended for interception and decryption of information. Module for transporting and landing special forces on a planet, whose tasks can vary from industrial espionage to inciting an uprising. 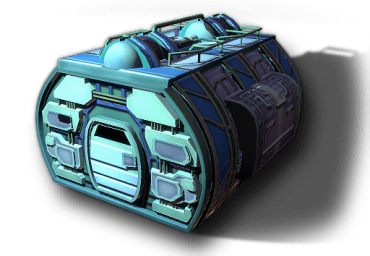 With the aid of this module, a ship can absorb energy and matter from stellar wind, filling fuel reserves. 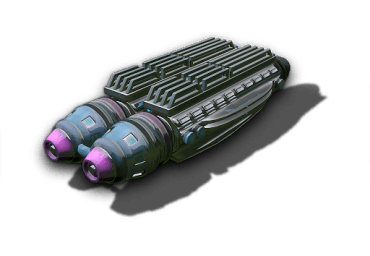 With the aid of this module, a ship can absorb energy and matter from stellar wind, filling fuel reserves. The module is compatible with stars of any type. Standard module for transporting troops and assault vehicles. Standard module for transporting troops and assault vehicles. It is necessary when attempting to capture an enemy planet under siege. Standard module for transporting passengers. Standard module for transporting passengers. 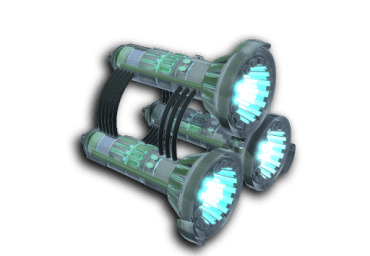 It is useful for transporting whole populations between planets. This module allows an orbital bombardment of a planet to be undertaken. 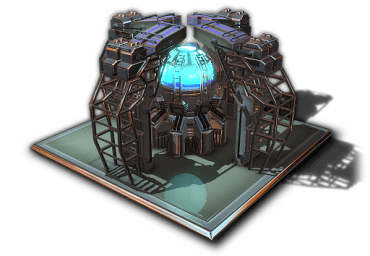 This module is designed to recharge missiles and torpedoes in turrets and small ships in the hangar of the mother ship. 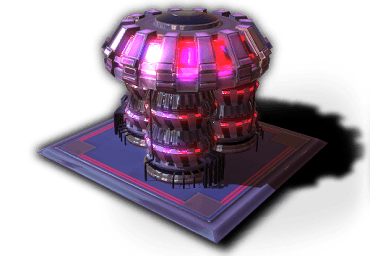 This module is designed to recharge missiles and torpedoes in turrets and small ships in the hangar of the mother ship. Reserves for this module can be replenished on friendly planets. 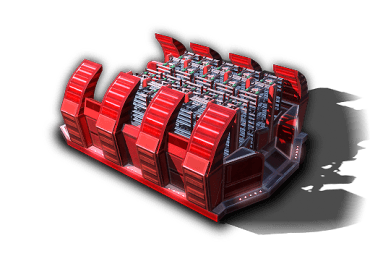 Use this module to create tanker ships that can refuel other ships in the fleet. 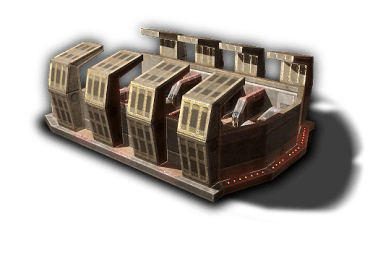 Use this module to create tanker ships that can refuel other ships in the fleet. To carry out refueling, the tanker must be placed among ships in the fleet that require refueling. During refueling procedures, the tanker consumes its own fuel. 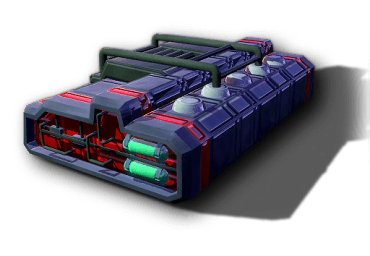 Standard fuel tank for the safe storage of fuel during hyperspace travel. The tank itself is a corrosion resistant refractory container with an induction heater that warms the fuel, preventing it from congealing. 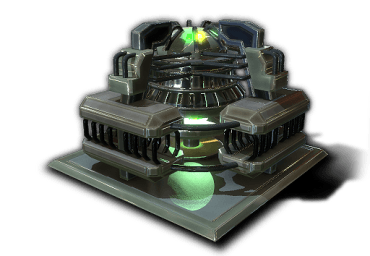 Technological complex that absorbs a wide range of radiation emitted by ships, making it invisible to most scanners and detection devices. Technological complex that absorbs a wide range of radiation emitted by ships, making it invisible to most scanners and detection devices. The stronger the masking effect, the less energy is used by the ship's equipment. This module is ideally suited when scouting out foreign territory. The ballistic computer determines in advance the trajectory of enemy torpedoes and missiles, synchronizing target data with the guidance system of a beam weapon. The ballistic computer determines in advance the trajectory of enemy torpedoes and missiles, synchronizing target data with the guidance system of a beam weapon. This allows the interception radius of projectiles from this type of weapon to be increased. Installation of multiple computers causes the interception range to improve very little. Due to the use of gravimetric resonance it was possible to increase fuel density, which assisted in the creation of this customized tank that is smaller in overall size. Due to the use of gravimetric resonance it was possible to increase fuel density, which assisted in the creation of this customized tank that is smaller in overall size. However, to function it requires almost two times more energy than a standard tank. A device that emits coherent infrared radiation, which can dilute the heat signatures left by engines. 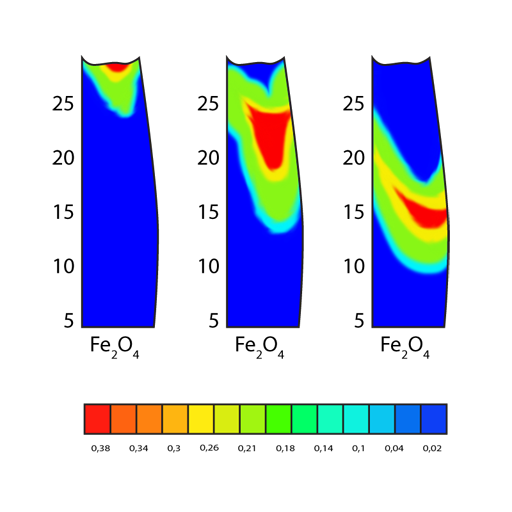 A device that emits coherent infrared radiation, which can dilute the heat signatures left by engines. Thanks to this, small ships can remain unseen for longer periods of time. 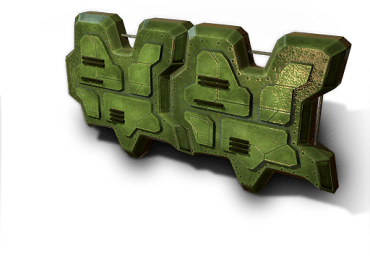 This module is used to repair other ships in the fleet. 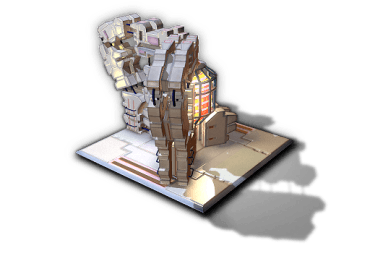 This module is used to repair other ships in the fleet. It contains a control center for multipurpose robotic repairmen and various other robots that are assigned to special bins throughout the ship. This active anti-missile / torpedo system launches missile traps from the ship when a threat is detected. This active anti-missile / torpedo system launches missile traps from the ship when a threat is detected. The traps then collide with incoming missiles or torpedoes, detonating them at a safe distance. This modified ammunition distribution module is designed to quickly reload torpedoes and missiles in turrets of the mother ship. This modified ammunition distribution module is designed to quickly reload torpedoes and missiles in turrets of the mother ship. However, small ships in the hangar are recharged at the usual speed. 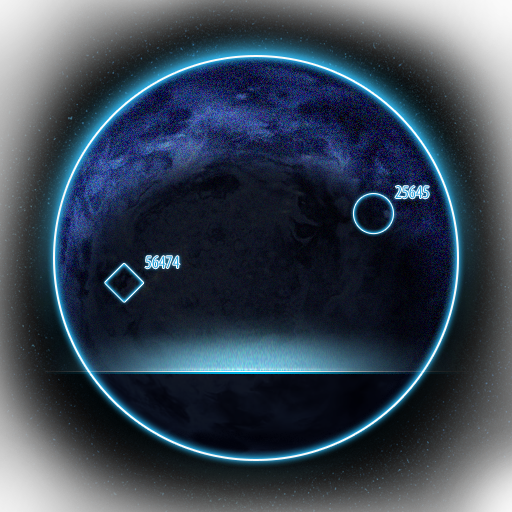 Reserves for this module can be replenished on friendly planets. 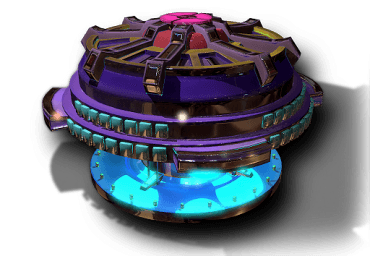 Enlarged version of the gravimetric resonance tank. Enlarged version of the gravimetric resonance tank. The tank has a higher capacity, larger size and increased power consumption, all while reducing weight. Due to a short-term compression of space-time, small vehicles can cover short distances in an instant. 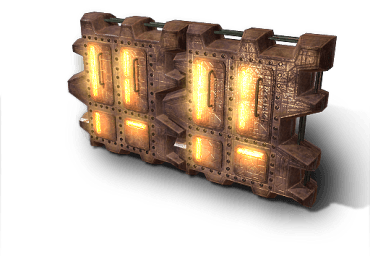 Modified hangar with gravity settings that create a 'topological pocket' in the space-time continuum. 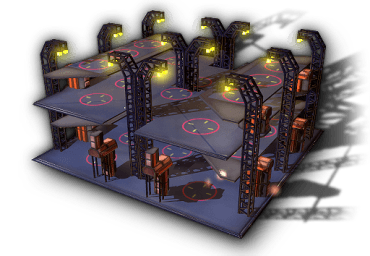 Modified hangar with gravity settings that create a 'topological pocket' in the space-time continuum. In more simplified language, the internal size is greater than the overall outer dimensions; for this reason the hangar has the maximum possible capacity. This high-tech scanner at medium range can capture the gravitational field disturbances. This high-tech scanner at medium range can capture the gravitational field disturbances, which are created by small ships. Increasing gravimetric resonance efficiency has succeeded in reducing the weight and size of a large tank. Increasing gravimetric resonance efficiency has succeeded in reducing the weight and size of a large tank while maintaining the same capacity and using only a little more power. This mechanism provides greater engine thrust by injecting additional fuel into the jet pipe downstream. This mechanism provides greater engine thrust by injecting additional fuel into the jet pipe downstream. Suitable for all types of engines. Modified hangar able to accommodate a greater number of small ships by optimizing and streamlining the use of available space. 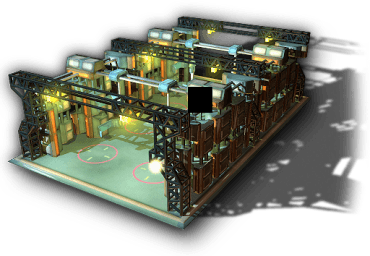 Modification of the standard hangar, equipped to repair small ships. 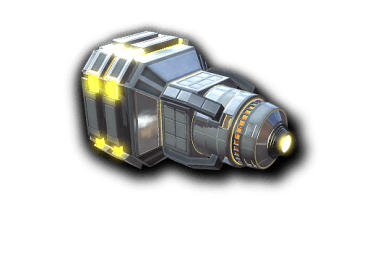 High-technology scanner, able to catch at long range the disturbances in the gravitational field, which are created by small ships. 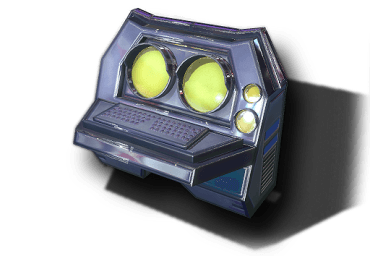 High-technology scanner, able to catch at long range the disturbances in the gravitational field, which are created by small ships. The use of microgravity solitons instead of the usual gravitational waves allows detection accuracy to be increased, while eliminating possible interference from massive objects. 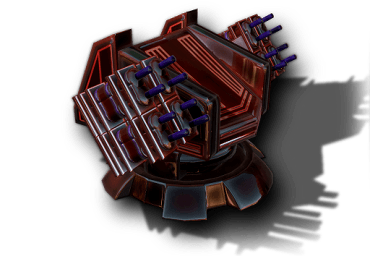 These traps emit a signal that deceives the guidance systems of incoming enemy missiles, misleading them into assuming that the traps themselves are small ships. 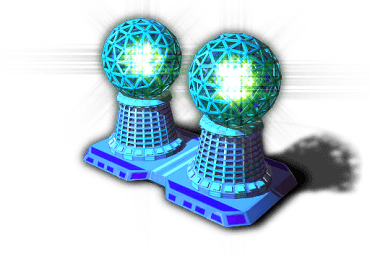 These traps emit a signal that deceives the guidance systems of incoming enemy missiles, misleading them into assuming that the traps themselves are small ships. The enemy missiles begin to close in on the traps and are destroyed upon collision. 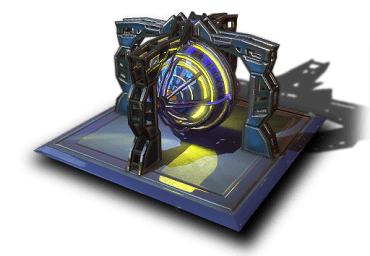 The stargate module allows a fleet to be quickly and efficiently moved from one star system to another. The stargate module allows a fleet to be quickly and efficiently moved from one star system to another. To begin with, two ships are used, one of which is sent to the destination, while the other remains at the point of departure. Next, the modules are activated and the ships are disintegrated, thus creating a metastable wormhole capable of moving any object between star systems. 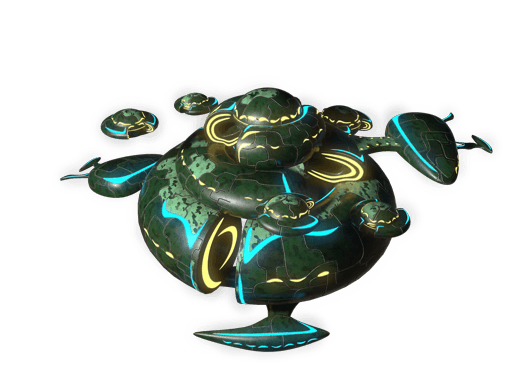 A small ship can fire 6 microcapsules filled with gravitonium, which scatter in all directions. 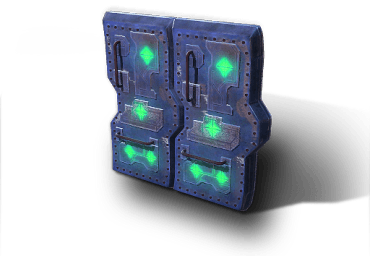 By creating strong interference they disrupt the function of gravity scanners. A small ship can fire 6 microcapsules filled with gravitonium, which scatter in all directions. By creating strong interference they disrupt the function of gravity scanners. 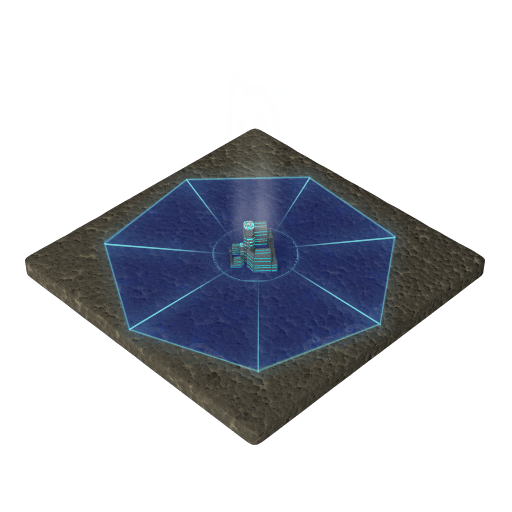 This allows small ships to remain invisible for even longer periods of time. This module creates a powerful disturbance in subspace, which prohibits space craft from executing a hyper-jump. 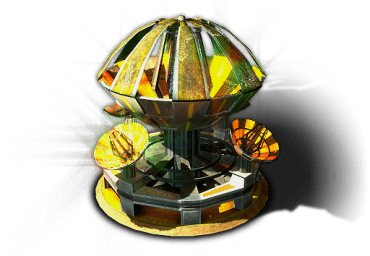 This module creates a powerful disturbance in subspace, which prohibits space craft from executing a hyper-jump. 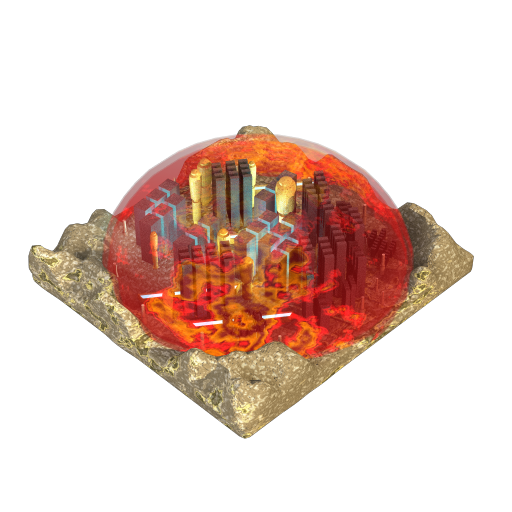 Thanks to this module, an enemy will not be able to escape from the battlefield. A device that turns most of the probing solitons into normal gravitational waves. A device that turns most of the probing solitons into normal gravitational waves. As a result, the soliton radar practically ceases to capture return signals, allowing small ships to remain unnoticed longer. The stargate module allows a fleet to be quickly and efficiently moved from one star system to another. To begin with, two ships are used, one of which is sent to the destination, while the other remains at the point of departure. Next, the modules are activated and the ships are disintegrated, thus creating a metastable wormhole capable of moving any object between star systems. This module builds a tunnel that is 50% more stable and 2 times quicker than one of the first version. This tank maximizes the use of gravimetric resonance, making it the undisputed leader in the capacity/size/weight ratio. This tank maximizes the use of gravimetric resonance, making it the undisputed leader in the capacity/size/weight ratio. However, its main drawback is a very large consumption of power. The stargate module allows a fleet to be quickly and efficiently moved from one star system to another. To begin with, two ships are used, one of which is sent to the destination, while the other remains at the point of departure. Next, the modules are activated and the ships are disintegrated, thus creating a metastable wormhole capable of moving any object between star systems. This module builds a tunnel that is 100% more stable and 4 times quicker than one of the first version. 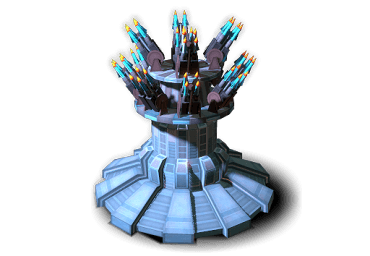 Integrated into the body of the pylon, it allows light weaponry to be mounted. Enlarged pylon that allows light to medium sized weaponry to be mounted. 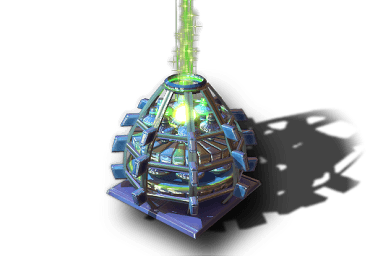 Maximum-sized pylon that allows weapons of any weight to be mounted. 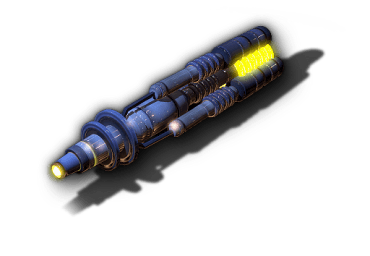 A basic beam weapon, generating coherent radiation in the visible range. 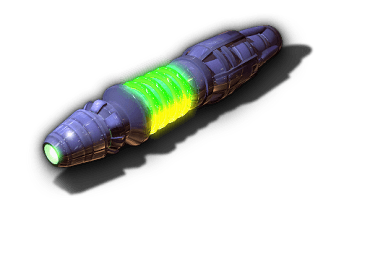 A basic beam weapon, generating coherent radiation in the visible range. 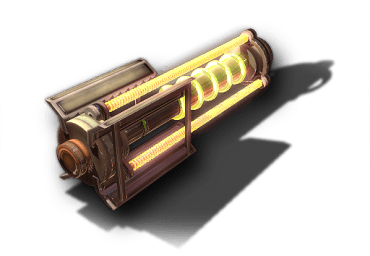 This beam weapon is inferior in strength and range of energy, but it has incredible accuracy and a fast recharge rate. It is also well suited as a torpedo and missile interceptor, where it is especially effective when working in conjunction with a ballistic computer. In this modification each of the two lasers fire in turn, thus significantly increasing the overall rate of fire. Mountable on light-weight pylons. A more powerful and long-range modification of the basic laser, intended to be mounted onto light-weight pylons. 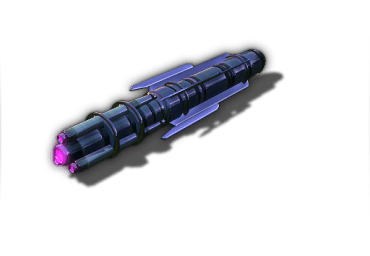 An advanced beam weapon, which generates coherent radiation in the ultraviolet range. 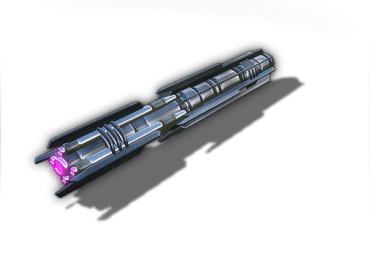 An advanced beam weapon, which generates coherent radiation in the ultraviolet range. Because it can be quickly recharged, the UV Laser is ideally suited for missile defense. But as an offensive weapon it is ineffective, as it has a small capacity and short range. It is advisable to install it in slots that will most likely face torpedo and missile attacks. The UV Laser can be installed in small vessels. Modification of the UV-laser which, instead of using fluorine as a dimer, uses reidium pairs that allow the rate of fire to be increased. Modification of the UV-laser which, instead of using fluorine as a dimer, uses reidium pairs that allow the rate of fire to be increased. 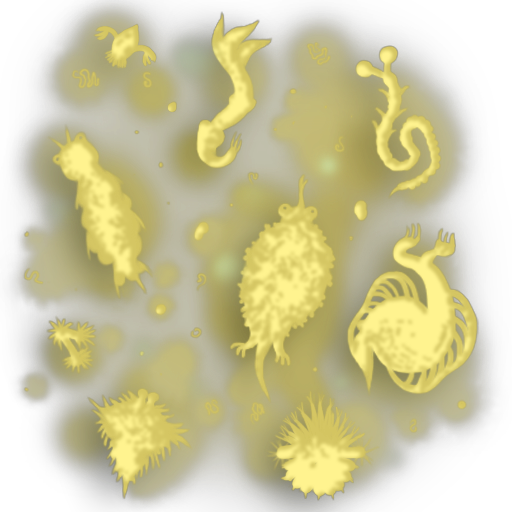 Accordingly, this modification is more energy-hungry, because reidium must constantly be maintained in a gaseous state. 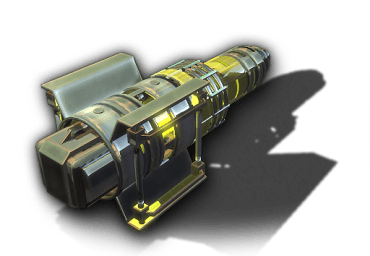 The most distinguishing feature of this advanced beam weapon, which generates coherent radiation in the infrared range, is its long range at low power. 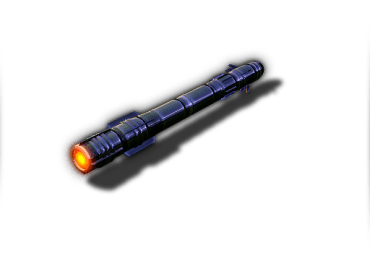 The most distinguishing feature of this advanced beam weapon, which generates coherent radiation in the infrared range, is its long range at low power. 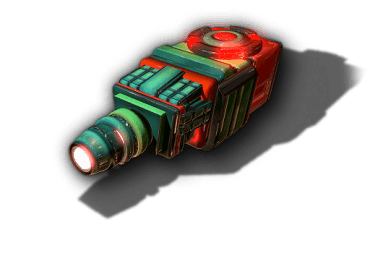 The IR Laser is most effective on fast ships that can with impunity engage a stronger opponent from a distance. The IR Laser can be mounted onto medium-sized pylons. In this modification, the IR Laser has increased radiated power and range. In this modification, the IR Laser has increased radiated power and range. However, at the same time power consumption and recharge time have increased. This modification can be mounted onto large pylons. High-tech beam weapon that generates coherent microwaves. High-tech beam weapon that generates coherent microwaves. Microwaves have high energy and are able to melt any chemical substance. However, due to the distorting effects of technologies based on gravitonium (electronics, power generators, hyperdrive, etc. ), microwaves dissipate much faster than they should, which adversely affects the range of the weapon. However, the Maser performs well in firefights with smaller ships and can be installed on medium-sized pylons. Heavy variant of the Maser having increased power and a slightly longer range, at the expense of the rate of fire and power consumption. Heavy variant of the Maser having increased power and a slightly longer range, at the expense of the rate of fire and power consumption. Can be mounted onto large pylons. 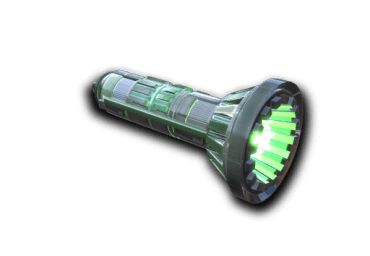 High-tech beam weapon that generates coherent gamma radiation. 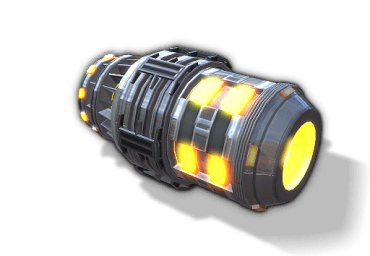 High-tech beam weapon that generates coherent gamma radiation. 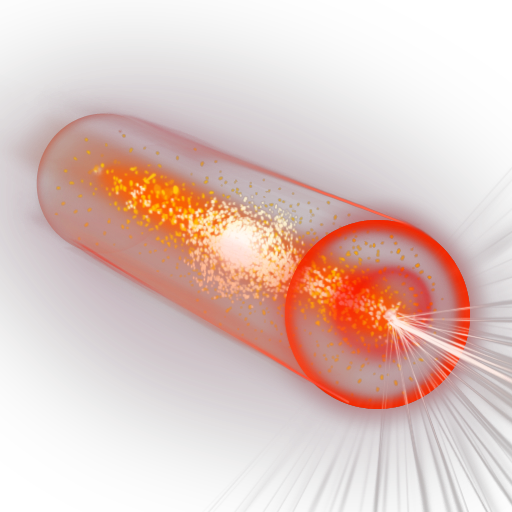 Gamma ray photons are capable of evaporating any chemical compound within a few seconds; however, at the same time they actively interact with the physical vacuum, which seriously reduces the range of gamma radiation. 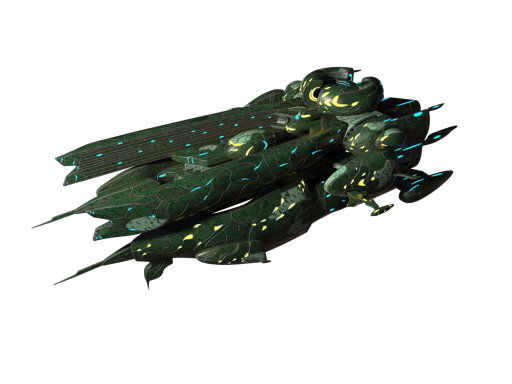 But, despite this, the Gazer is perhaps the best beam weapon for small ships because of its high capacity and compact size. 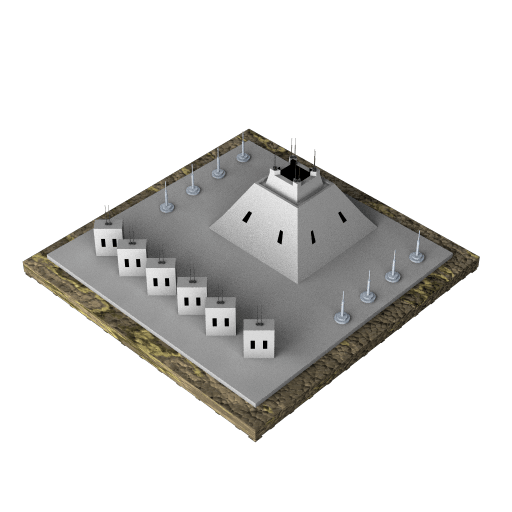 Mountable on small pylons. A larger version of the Gazer intended for installation only on capital ships. A larger version of the Gazer intended for installation only on capital ships. It has great power, surpassing in this category almost all types of energy weapons; however, it cannot boast of having a great range. This high-tech beam weapon that generates a coherent flux of gravitons was so named because of the microexplosions that occur upon contact with matter gravitons. High-technology beam weapon that generates a coherent flux of gluons. High-technology beam weapon that generates a coherent flux of gluons. The Phaser can instantly destroy chemical substances by literally splitting their atoms apart. Unfortunately, the gluons are quickly absorbed by the physical vacuum that accompanies pair production, which greatly affects the range of the weapon. However, this does not prevent the Phaser from being a nightmare for small ships, and it also handles large vessels well enough, should they venture into its range. 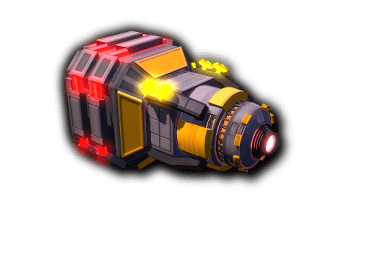 This super powerful modification of the Phaser has a moderate range, large overall size and consumes a tremendous amount of energy, so it can be installed only on the largest ships and stationary platforms. 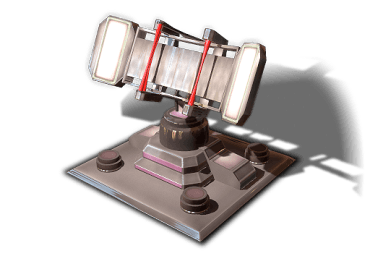 This super powerful modification of the Phaser has a moderate range, large overall size and consumes a tremendous amount of energy, so it can be installed only on the largest ships and stationary platforms. But all the disadvantages are offset by the incredible power, which is capable of breaking through all types of shielding and destroying almost any ship. 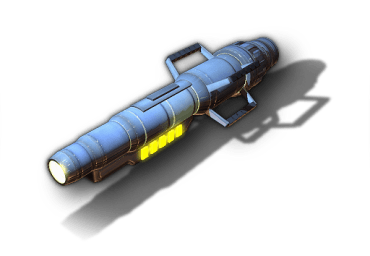 A basic energy weapon that fires a beam of relativistic ions. 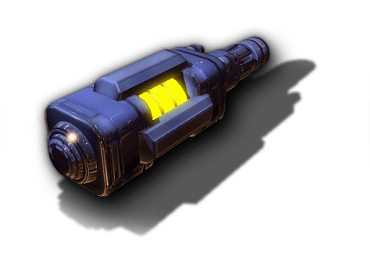 A basic energy weapon that fires a beam of relativistic ions. Not the most effective weapon, but it is simple, reliable, and has a high rate of fire. Modifications of this gun for small, medium and large ships differ in range, per-charge capacity and rate of fire. High-technology energy weapon emitting a pin-point impulse that deforms space-time, and locks in on disturbances that are left by ships containing gravitonium (such as any modern space ship). High-technology energy weapon emitting a pin-point impulse that deforms space-time, and locks in on disturbances that are left by ships containing gravitonium (such as any modern space ship). Long range, a high rate of fire and the ability of its projectiles to home in on a target make this Gravitation Gun an outstanding weapon when engaged in combat with lighter-weight vessels. 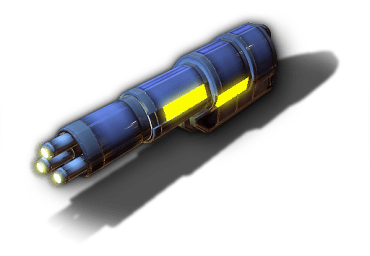 This gun can be mounted on the large pylons of a fighter. 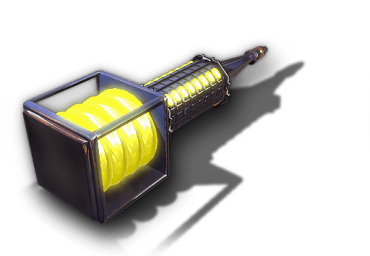 This modification has a higher ion flow density, which increases the range and power of the weapon, while slightly lowering the rate of fire. Fine electromagnetic field control allows three high-energy ion beams to be immediately generated. Fine electromagnetic field control allows three high-energy ion beams to be immediately generated. 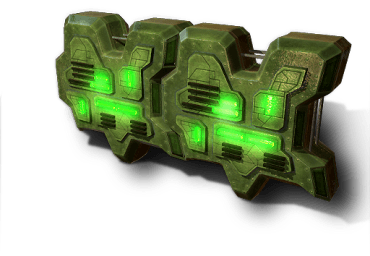 And though each beam is weaker than those in the standard modification, in total they inflict more damage. 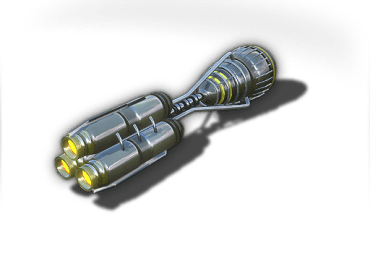 This advanced energy weapon fires plasma globules and is much more powerful and has greater range than the ion gun. 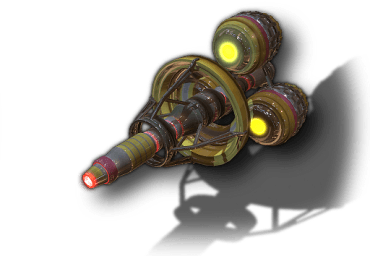 This advanced energy weapon fires plasma globules and is much more powerful and has greater range than the ion gun. It is, however, necessary to mention the low rate of fire, significant recharge time and high power consumption. 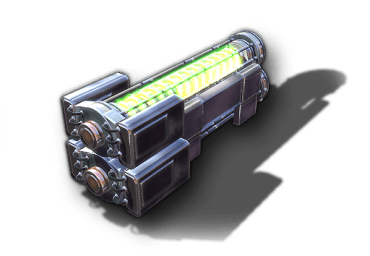 This gun can be mounted on large pylons that are installed on small ships, but it is worth remembering that its low rate of fire is a disadvantage in battles with other fighters. 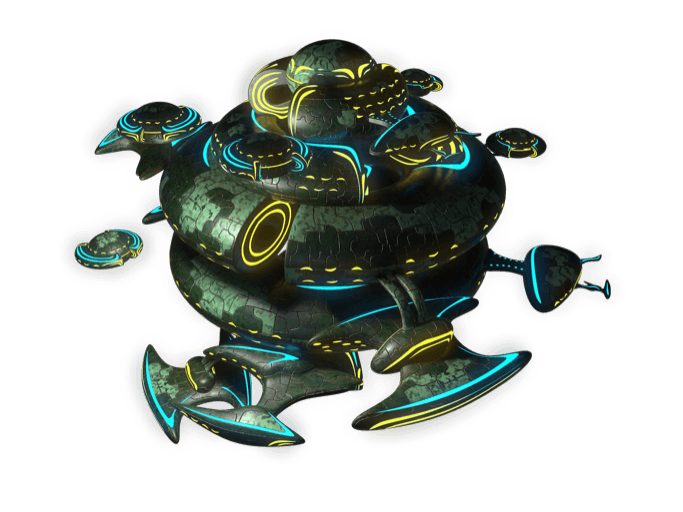 A high-tech energy weapon, firing blobs of anti-kaons that, after a period of time, are torn into ten smaller anti-kaon blobs, causing extensive damage to a given area. 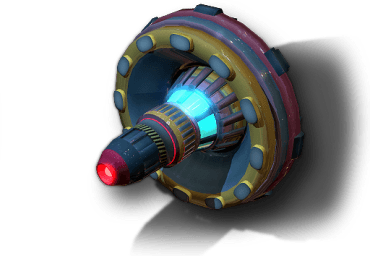 A high-tech energy weapon, firing blobs of anti-kaons that, after a period of time, are torn into ten smaller anti-kaon blobs, causing extensive damage to a given area. 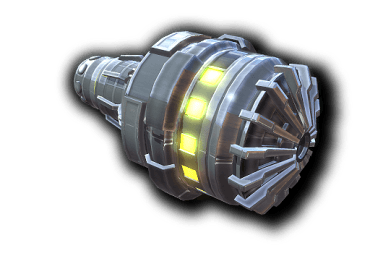 Because force fields are useless against this weapon, it can inflict massive damage to armored ships. 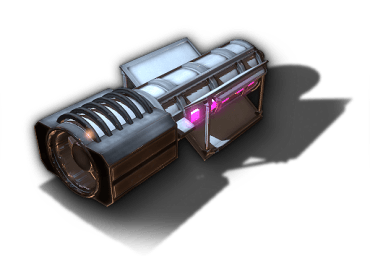 Due to its size, the Anti-meson Gun cannot be installed on lighter ships. 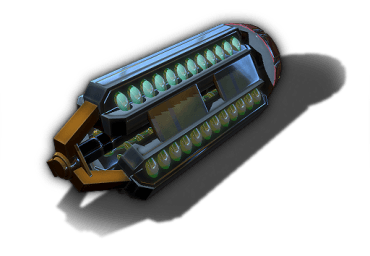 This plasma gun modification is specifically designed for small ships. 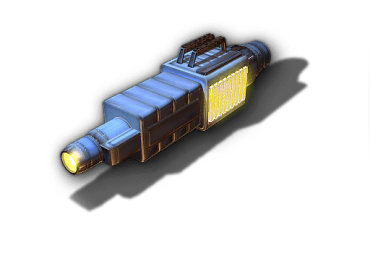 This plasma gun modification is specifically designed for small ships. 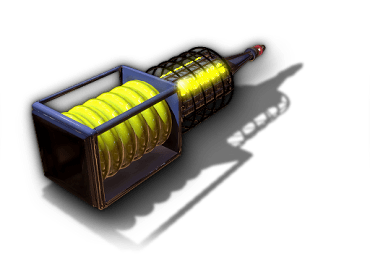 It has an increased rate of fire and can be mounted on small pylons. 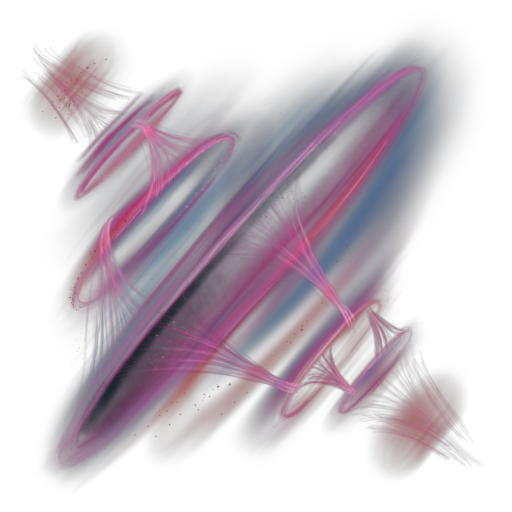 Modification of the Anti-meson gun, generating anti-meson blobs that are more dense. 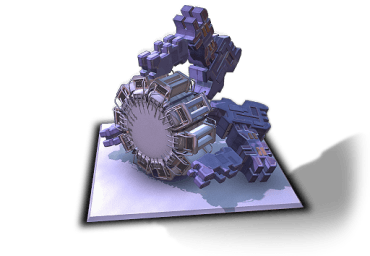 Modification of the Anti-meson gun, generating anti-meson blobs that are more dense. With this version one anti-meson blob breaks down into fifteen separate blobs, which consumes more power than the base model. 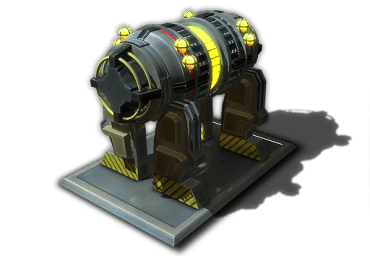 This modification of the gravity gun, intended to be mounted onto medium sized pylons, has less power in comparison to the original. High-technology energy weapon that fires light hypernuclei accelerated to relativistic velocities. High-technology energy weapon that fires light hypernuclei accelerated to relativistic velocities. 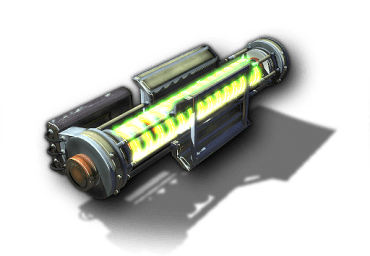 This is a huge, powerful and long-range weapon, but its disadvantages include a very slow recharge time and low velocity of the charge itself. This makes the weapon ineffective against smaller ships. The Baryon gun cannot be installed on smaller vessels. 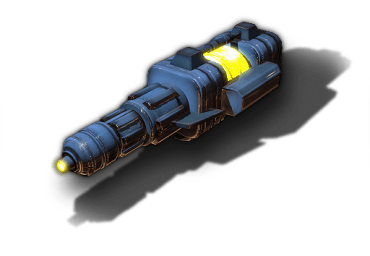 This is the smallest modification of the gravity gun, which can be mounted onto light-weight pylons. This is the smallest modification of the gravity gun, which can be mounted onto light-weight pylons. 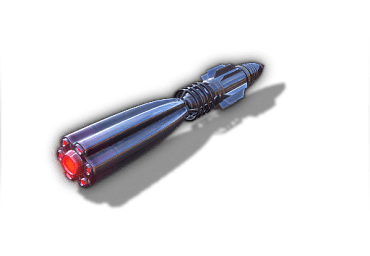 It is a low-powered weapon with a very high rate of fire and is destructive at long ranges. Heavy modification of the Baryon gun. Heavy modification of the Baryon gun. Instead of using light hypernuclei, it fires medium hypernuclei, which have much more destructive power. 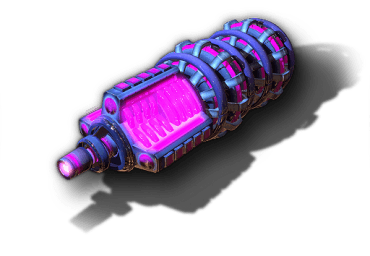 In addition, the energy consumption of the weapon is greatly increased. High Technology energy weapon that fires single gluons. High Technology energy weapon that fires single gluons. A gluon doesn't inflict a great deal of damage, has limited range, and generating a gluon is time consuming. 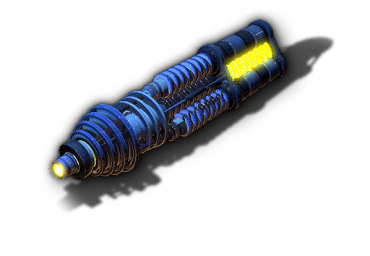 However, the unusual properties of this boson weapon compensate for all of its shortcomings. First, it is able to lock on to the target and secondly, if a boson destroys it, the gluon does not disappear, but rather absorbs all the kinetic energy of the explosion and thus forms a new gluon. Continuing onward the gluon then locks on to a new target, where the boson propagation effect is repeated. In this way, one discharge from a Boson Gun can theoretically destroy all of the enemy's lighter vessels. This modified bosonic gun has high power, increased range and requires more energy than the standard model. High-technology energy weapon that fires a beam of antiprotons. High-technology energy weapon that fires a beam of antiprotons. 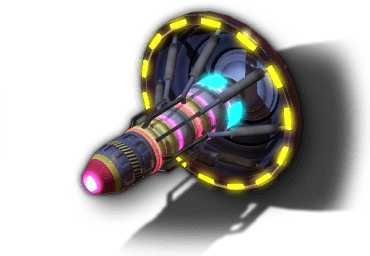 This quite powerful and long-range weapon has a medium rate of fire, and can be effectively used against any class of ships. 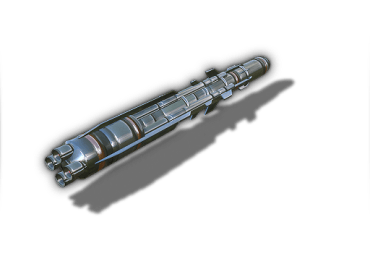 Due to the large size of this weapon, it cannot be installed on smaller ships. Hi-Tech energy weapon that fires a relativistic anti-muon beam. Hi-Tech energy weapon that fires a relativistic anti-muon beam. 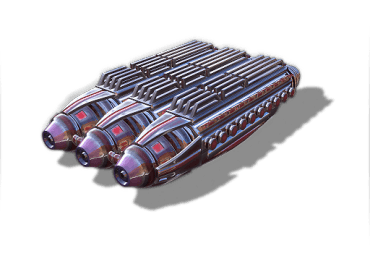 Its high power, low recharge time and great range make it a universal weapon against all types of ships. The only drawback: it cannot be installed on small ships. If the standard Anti-muon gun can be considered a simple 'hunting gun', then this heavier modification can justly be called a 'high caliber sniper rifle'. If the standard Anti-muon gun can be considered a simple 'hunting gun', then this heavier modification can justly be called a 'high caliber sniper rifle'. The great range and incredible power of this weapon allow enemy ships to be destroyed before they are within sufficient range to return fire. 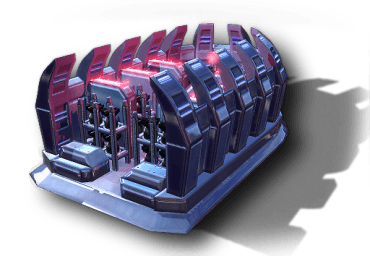 However, overall power consumption is in keeping with weapons of this class, so the gun can only be mounted on most large ships or stationary platforms. Launching installation for autonomous missile clusters, each of which is independently guided, allowing a single cluster of missiles to simultaneously attack a large number of targets. Launching installation for autonomous missile clusters, each of which is independently guided, allowing a single cluster of missiles to simultaneously attack a large number of targets. Installation significantly increases the efficiency and density of a missile attack. Enhanced variation of the launcher installation that allows three autonomous missile clusters to be launched at once. Enhanced variation of the launcher installation that allows three autonomous missile clusters to be launched at once. Each cluster has an independent guidance mechanism that enables its missiles to simultaneously attack a large number of targets. Installation maximizes the efficiency and density of a missile attack. 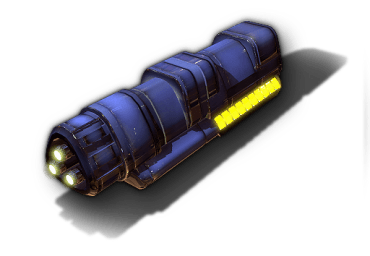 This standard homing missile is effective against small ships. 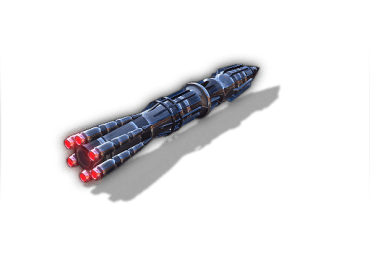 This standard homing missile is effective against small ships. When the missile approaches the enemy, a corona discharge occurs inside, igniting nanoaerosol to a temperature of several hundred thousand degrees. The outer hull of the missile is vaporized, upon which the enemy vessel is hit by a jet of pure plasma. Even though it's the slowest of all missiles, it is cheap and easy to produce. It can be loaded onto light pylons, or two missiles may be mounted on one large pylon. 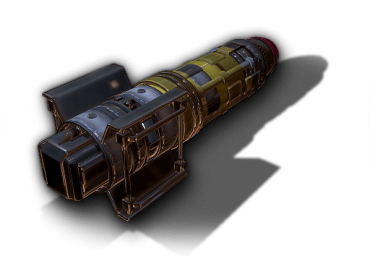 Standard torpedo with an armor-piercing warhead. Standard torpedo with an armor-piercing warhead. 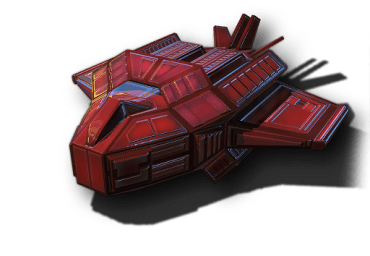 It is slow and without a homing capability, but this is offset by a rather powerful charge that can 'bleed' any medium ship. Using a torpedo against small ships is not advisable. 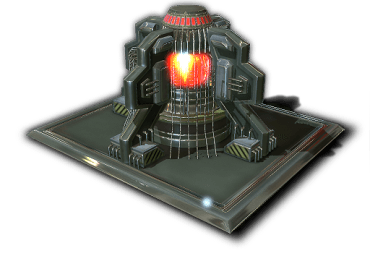 It can be mounted onto light pylons, or two torpedoes can be mounted onto one large pylon. 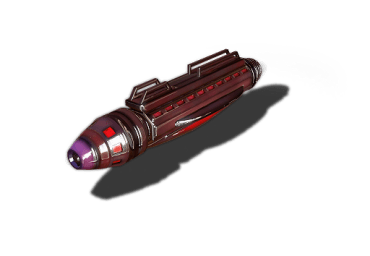 Advanced homing missile, effective against small and medium-sized ships. 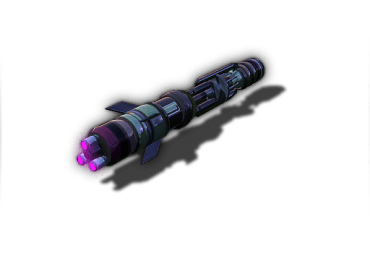 Advanced homing missile, effective against small and medium-sized ships. It differs from plasma missiles in that when it first penetrates the armor of an enemy ship, a jet of nanoaerosol is then sprayed into the ship interior. Only then is the plasma ignited. 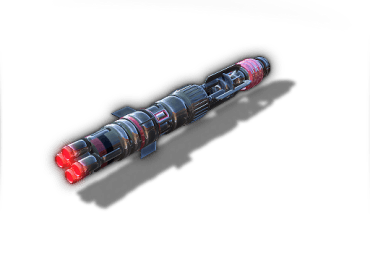 Having great speed, this missile causes twice as much damage as a plasma rocket. Can be mounted onto small pylons. This standard missile with MIRV warheads carries 6 armed plasma charges, each of which can separate from the main missile, then independently acquire and lock in on a target. This standard missile with MIRV warheads carries 6 armed plasma charges, each of which can separate from the main missile, then independently acquire and lock in on a target. It can only be mounted on large pylons. This advanced torpedo carries a thermonuclear warhead. This advanced torpedo carries a thermonuclear warhead. 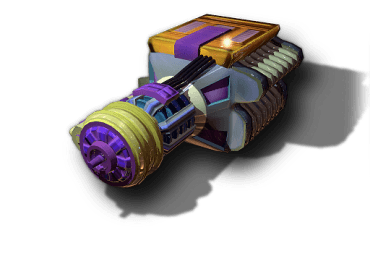 It has average speed and is without a homing capability; however, a very powerful charge and large blast radius compensate for this. It can be mounted onto medium pylons. High-tech homing missile, effective against small ships. High-tech homing missile, effective against small ships. Striking an enemy vessel initiates a series of internal explosions, each of which causes the next blast. The first detonation is a conventional explosive, then a standard atomic bomb, and finally the thermonuclear warhead explodes. The radius of the resulting destruction is not wide, but the explosion is very powerful. One hit from such a missile is capable of completely destroying a small ship. It is a bit slower than armor-piercing missiles and can be mounted on medium-sized pylons. High-technology homing missile, having the maximum effect against small ships. High-technology homing missile, having the maximum effect against small ships. The warhead is filled with antimatter plasma suspended in a magnetic field. When the missile first contacts the ship's armor, the field is disabled and the antimatter is released to interact with matter, resulting in a powerful explosion that annihilates the targeted vessel and emits high-energy radiation. 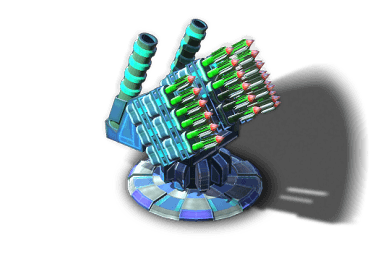 The speed is equal to the armor-piercing missile and it can be mounted on medium-sized pylons. 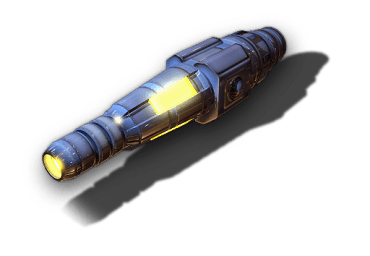 This high-technology torpedo with an antimatter charge is the main weapon against large ships and weapons platforms. 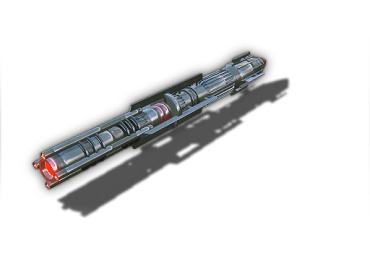 This high-technology torpedo with an antimatter charge is the main weapon against large ships and weapons platforms. 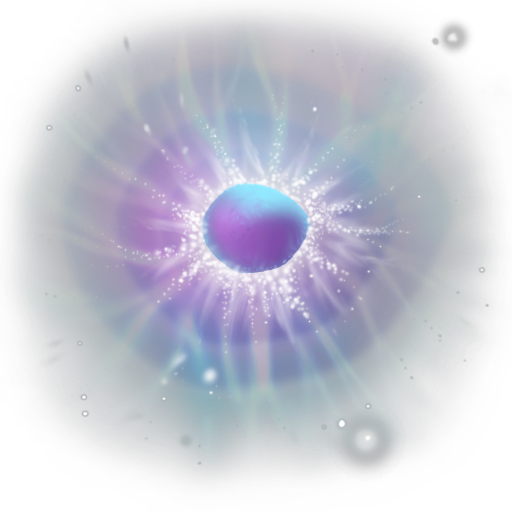 This ultimate weapon - the herald of death and destruction - has unbelievable power and a massive destruction radius. It must be mounted onto large pylons. This advanced missile with MIRV warheads carries 6 armed thermonuclear charges, each of which can separate from the main missile, then independently acquire and lock on to a target. This advanced missile with MIRV warheads carries 6 armed thermonuclear charges, each of which can separate from the main missile, then independently acquire and lock on to a target. It can only be mounted on large pylons. This miniature version of the MIRV missile carries 5 microthermonuclear charges, each of which can separate from the missile, then independently acquire and lock onto a target. This miniature version of the MIRV missile carries 5 microthermonuclear charges, each of which can separate from the missile, then independently acquire and lock onto a target. Can be mounted onto medium-sized pylons. Hi-tech missile with MIRV warheads, which carries 10 antimatter charges, each of which can separate from the main missile, independently acquire and lock on to a target. Hi-tech missile with MIRV warheads, which carries 10 antimatter charges, each of which can separate from the main missile, independently acquire and lock on to a target. It can only be mounted on large pylons. 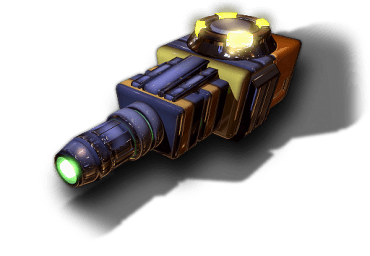 A miniature version of the Photon Torpedo. 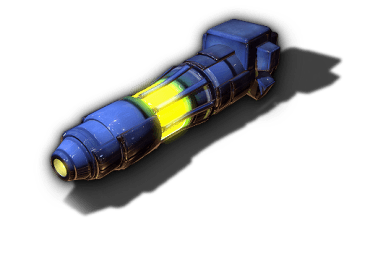 A miniature version of the Photon Torpedo. In order to reduce overall size, it was necessary to sacrifice range. But, regarding the ratio of size to power, it is the undisputed leader. Must be mounted onto small pylons. Installation point for light weapons. Installation point for light weapons. If a turret is positioned on the upper deck, it will provide a circular field of fire; however, if its located on a middle deck, the angle of fire will be only 90 degrees. Installation point for medium-sized weaponry. If a turret is positioned on the upper deck, it provides a circular field of fire. Installation point for medium-sized weaponry. If a turret is positioned on the upper deck, it provides a circular field of fire. If positioned on a middle deck, the angle of fire will be only 90 degrees. The range of weapons installed in this turret is increased by 3%. Installation for heavy weaponry. If a turret is positioned on the upper deck, it provides a circular field of fire. If positioned on a middle deck, the angle of fire will be only 90 degrees. 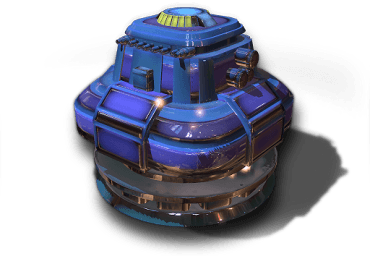 This turret increases the range of the weapon by 5%. 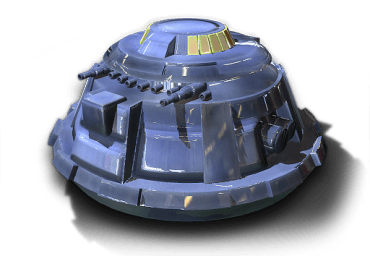 This turret allows positioning of any weapon, including super-heavy and special purpose weapons. This turret allows positioning of any weapon, including super-heavy and special purpose weapons. If located on the upper deck, it provides a circular field of fire. On a middle deck, the angle of attack will be only 90 degrees. 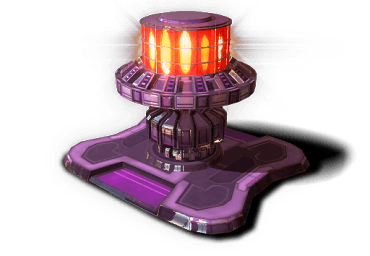 The range of weapons installed in this turret is increased by 5%.